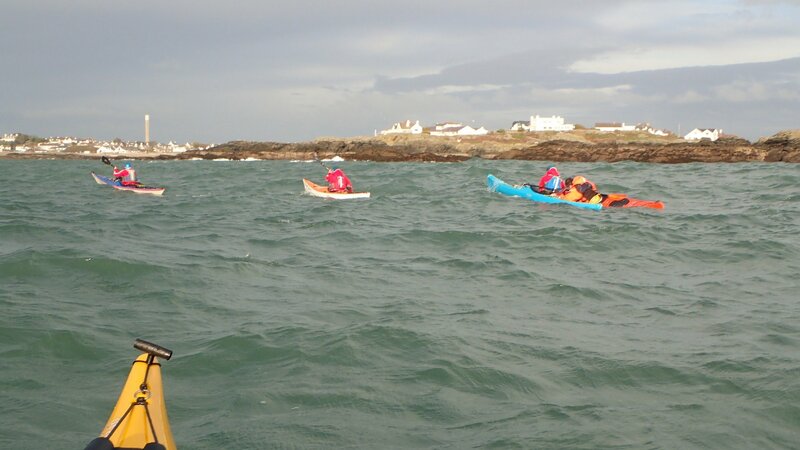 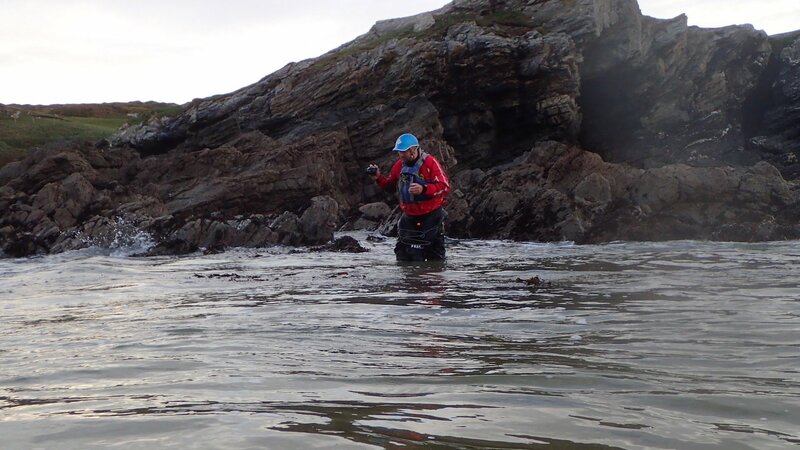 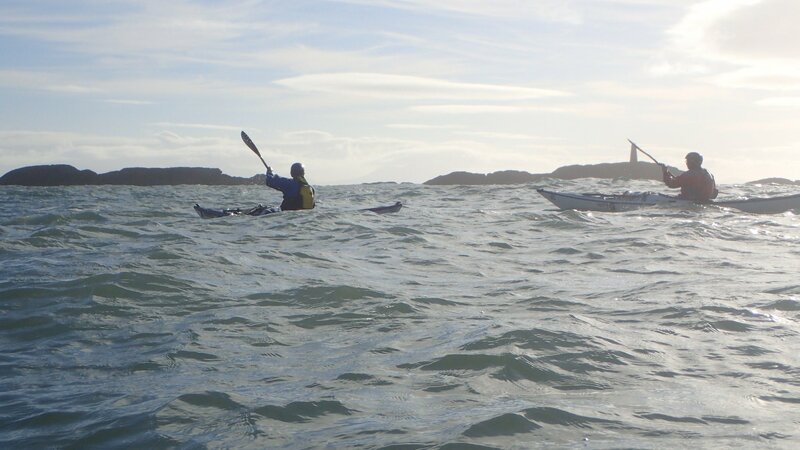 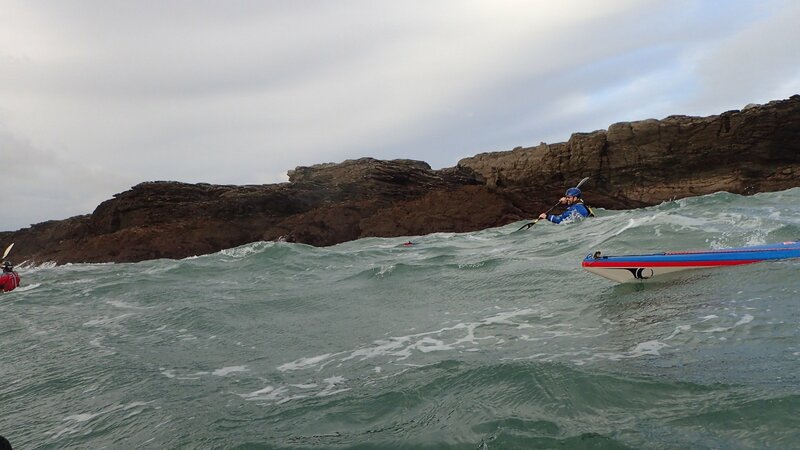 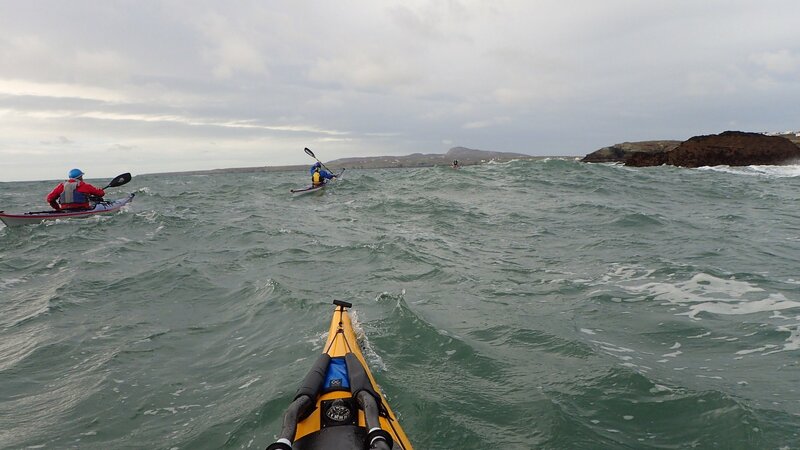 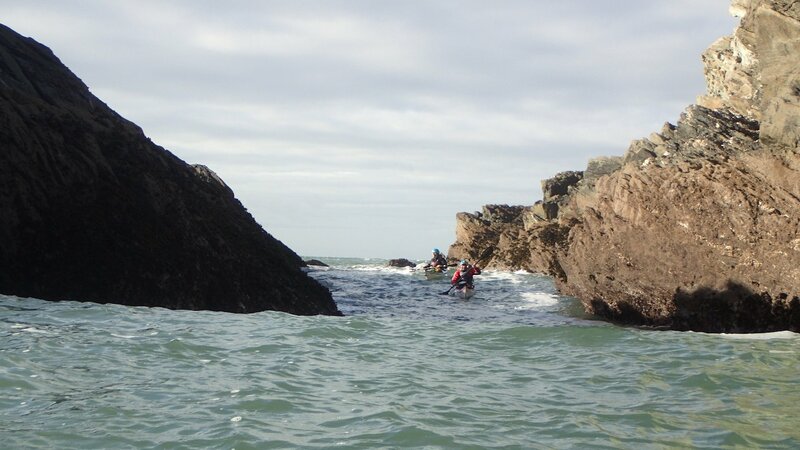 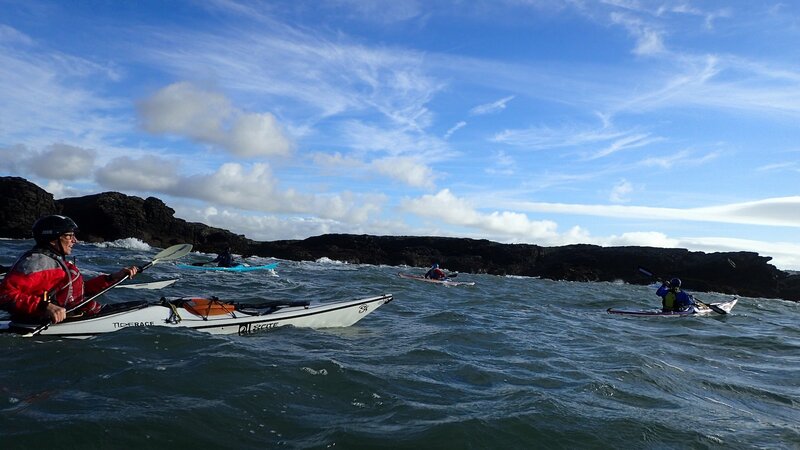 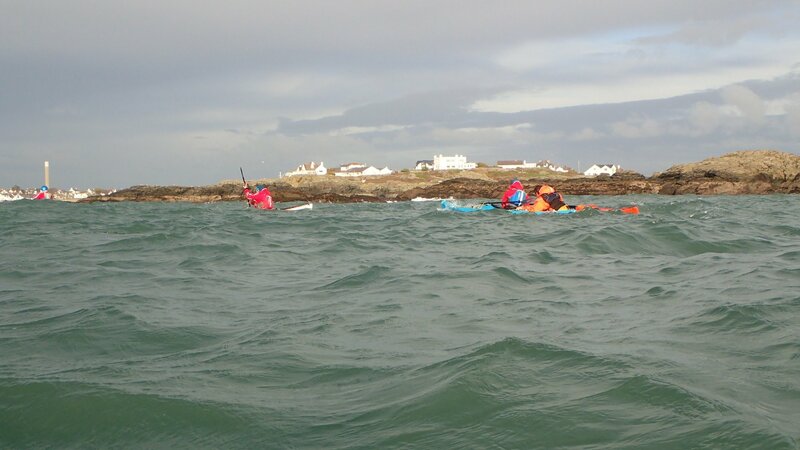 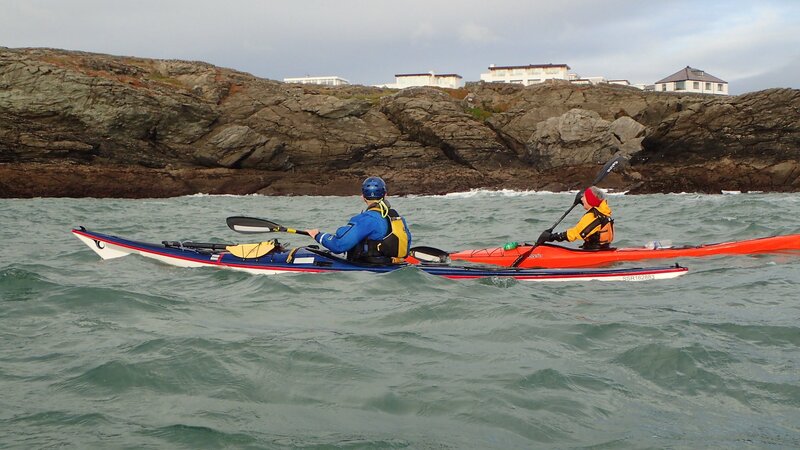 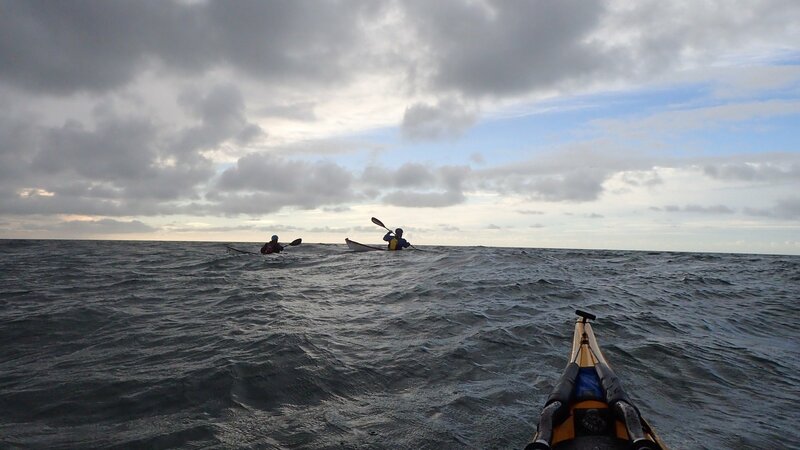 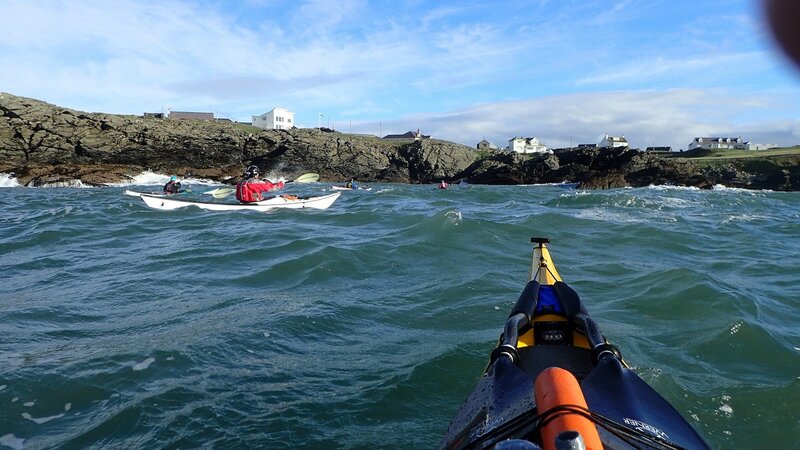 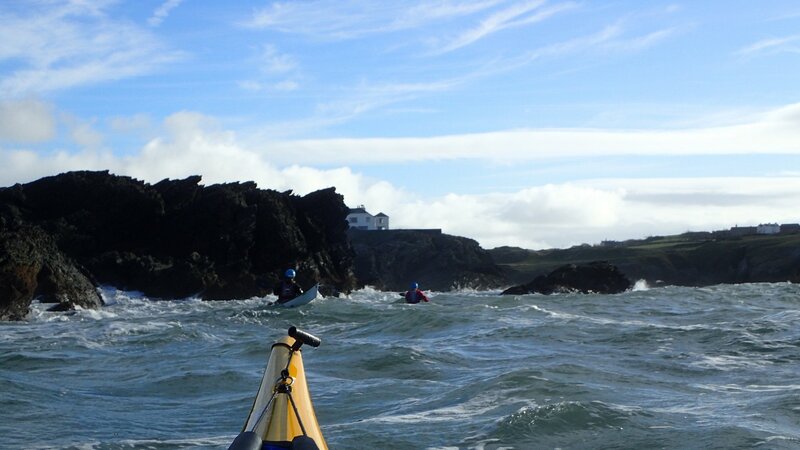 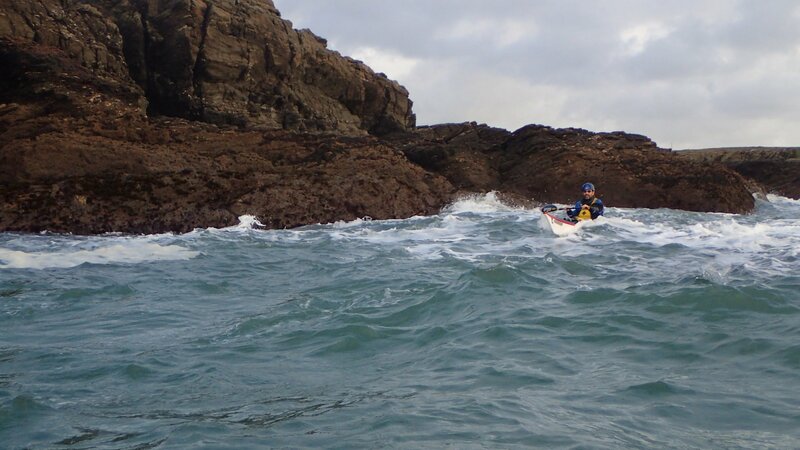 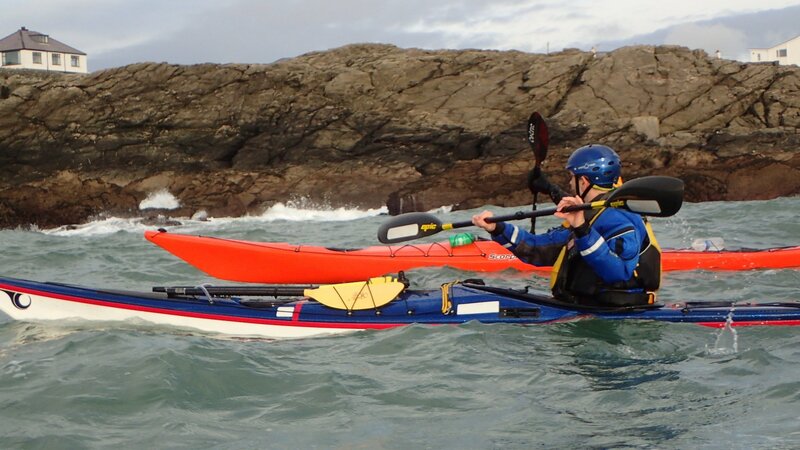 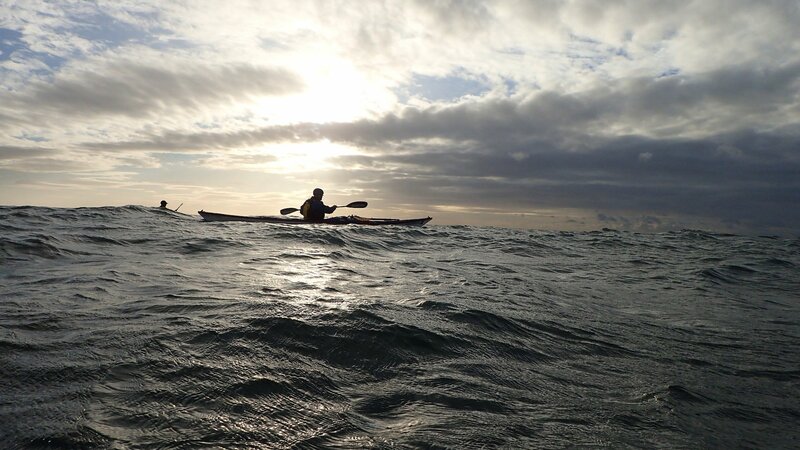 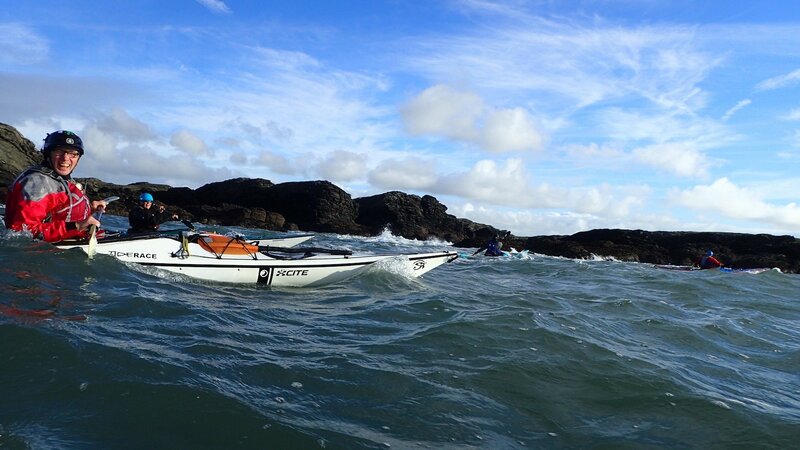 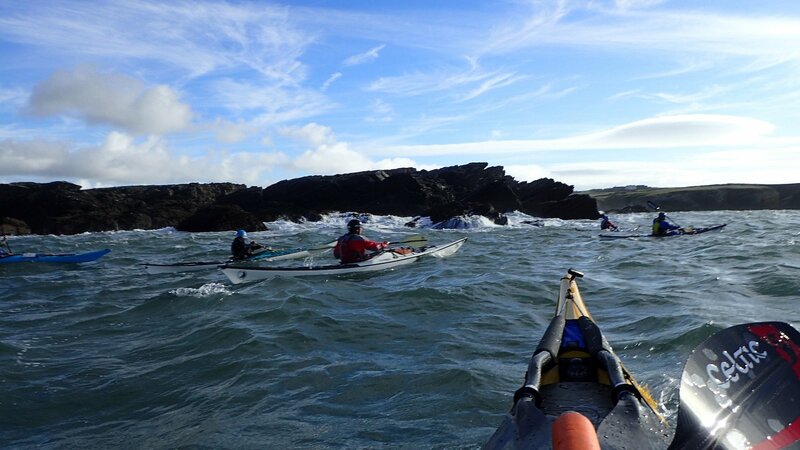 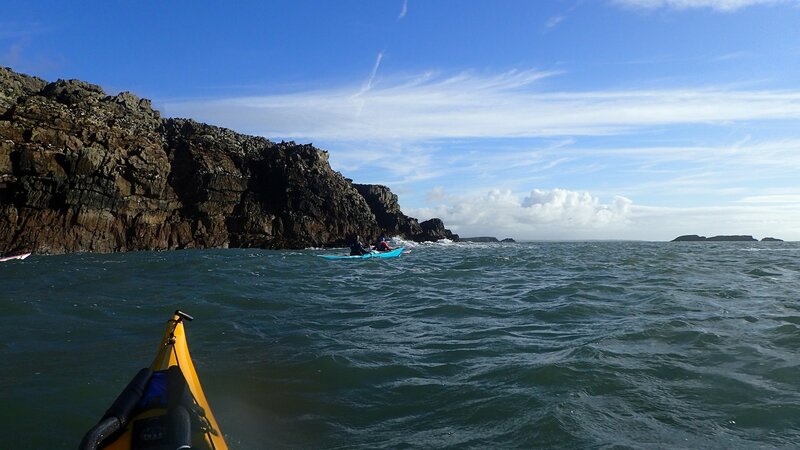 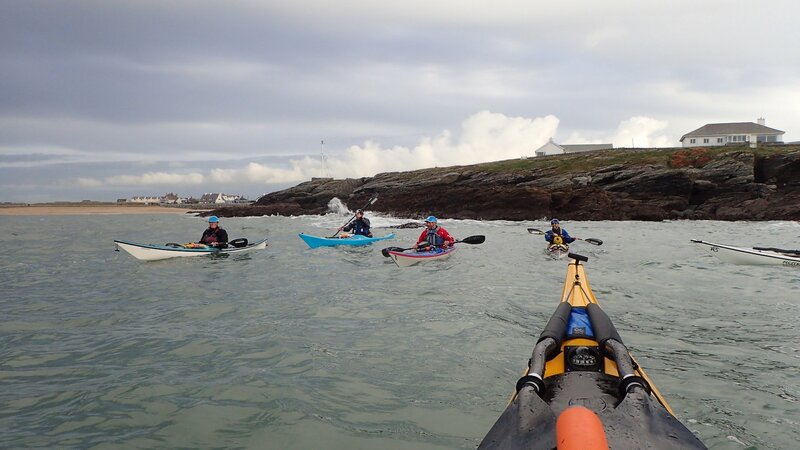 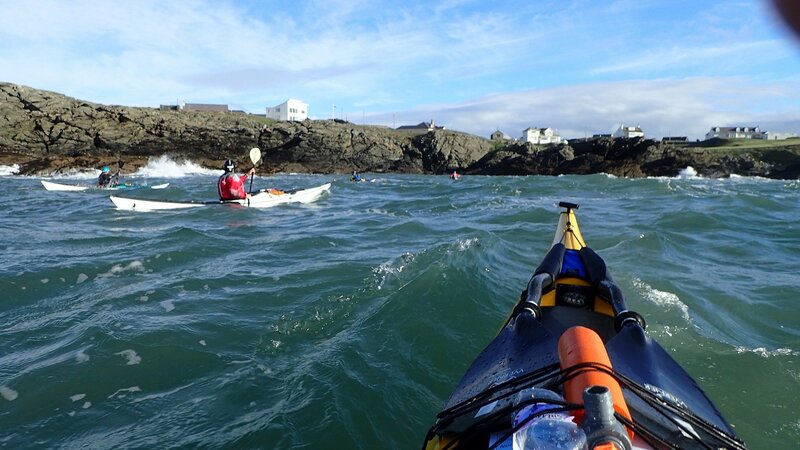 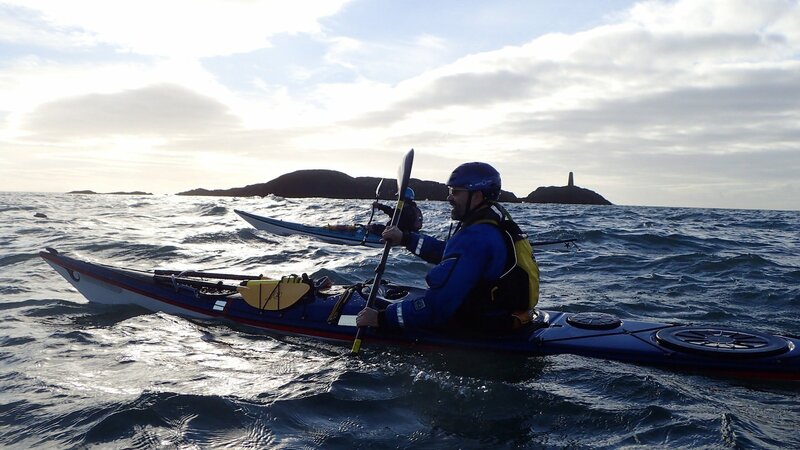 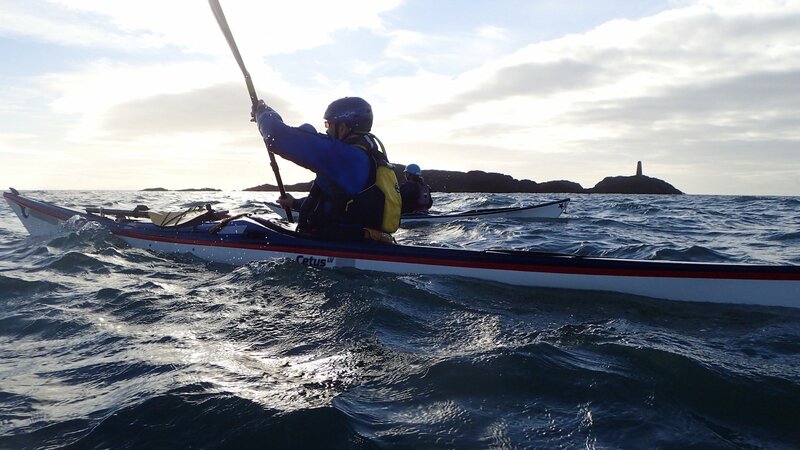 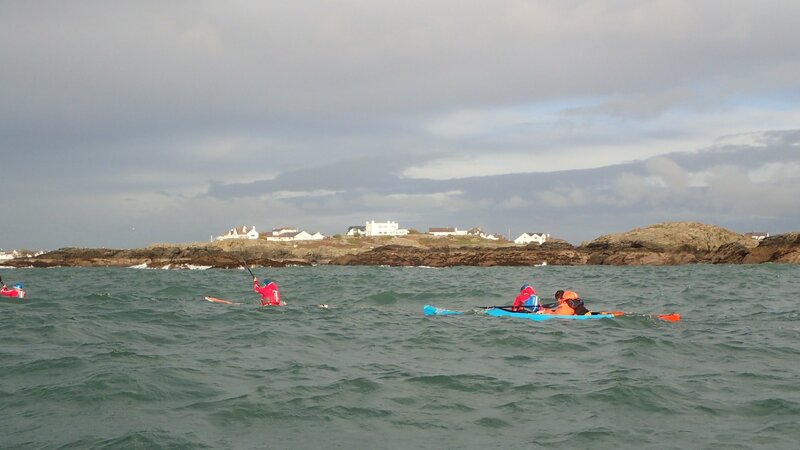 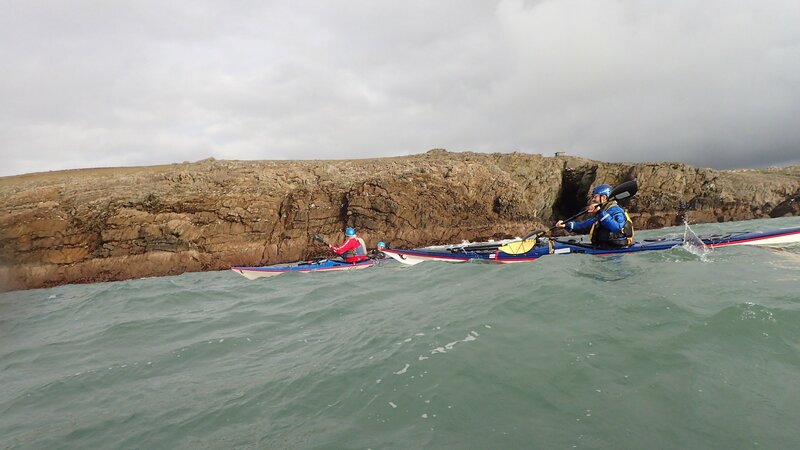 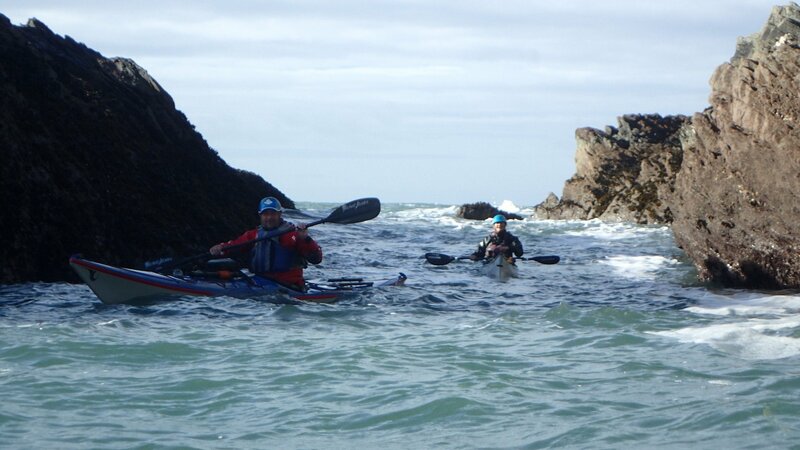 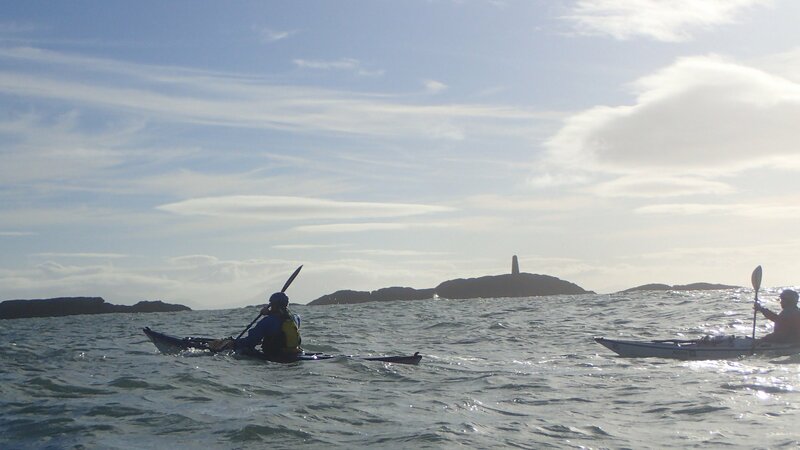 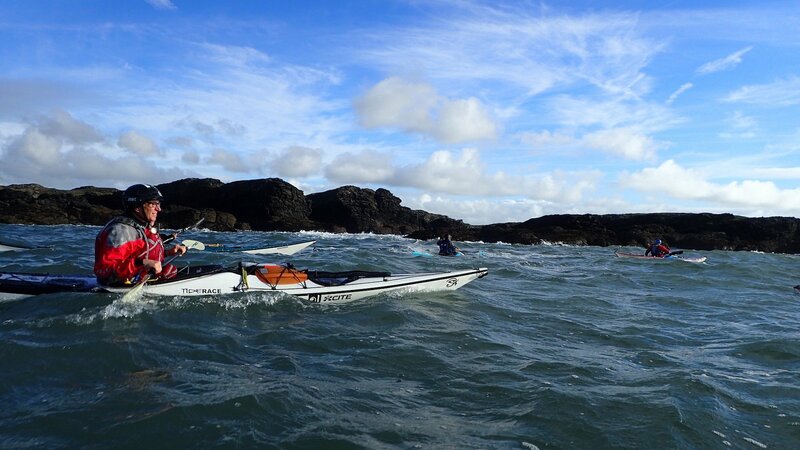 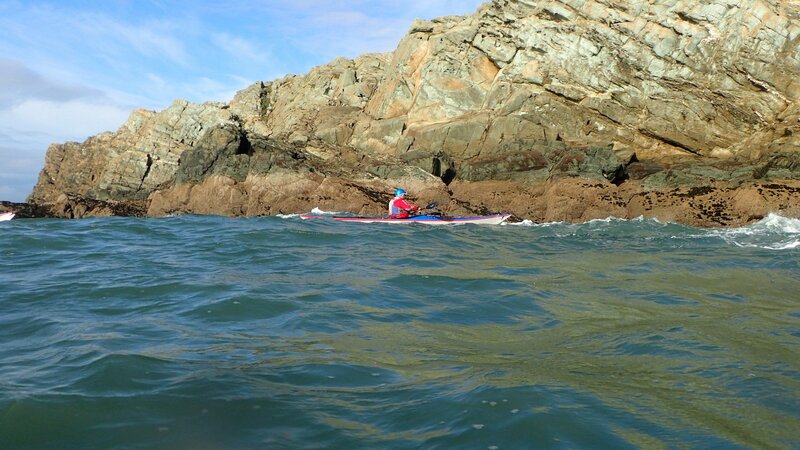 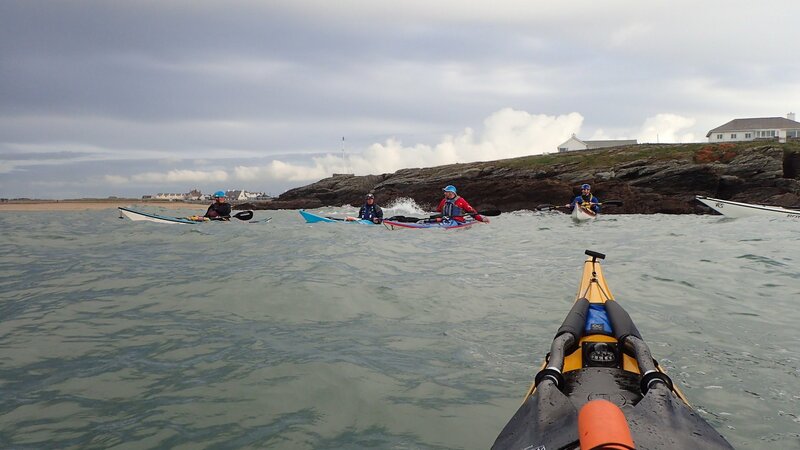 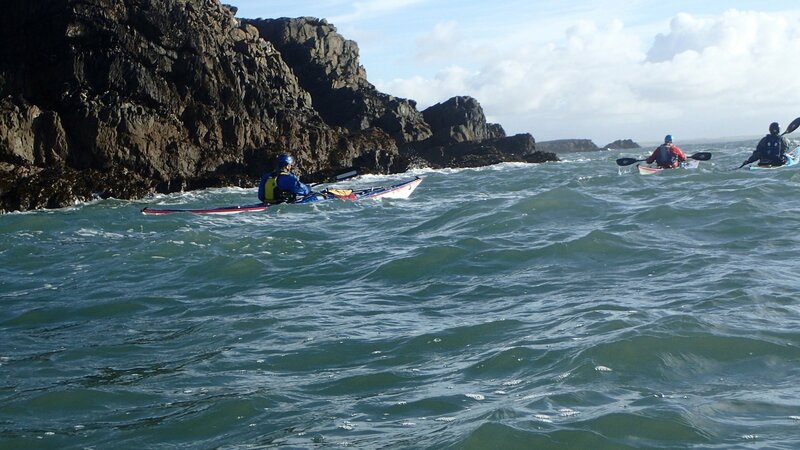 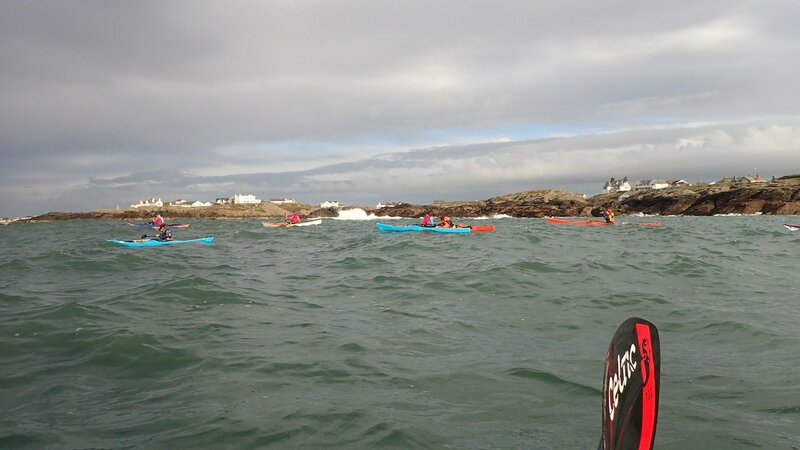 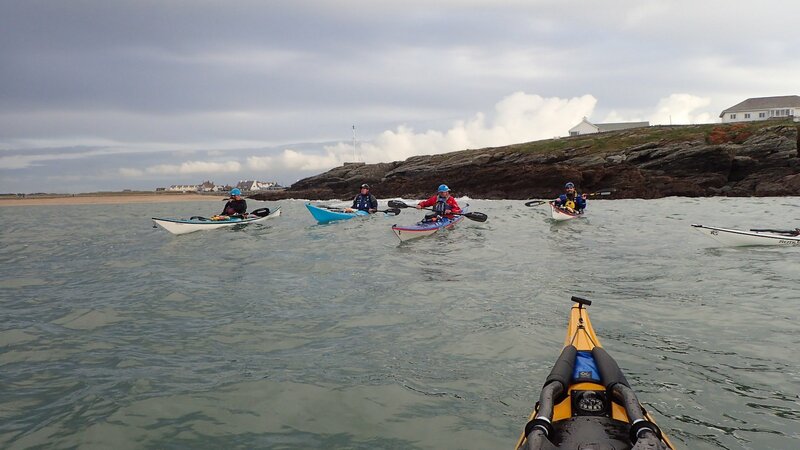 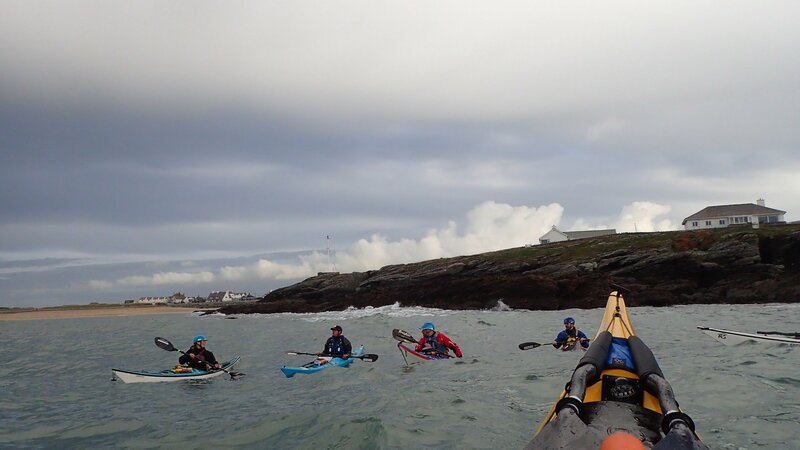 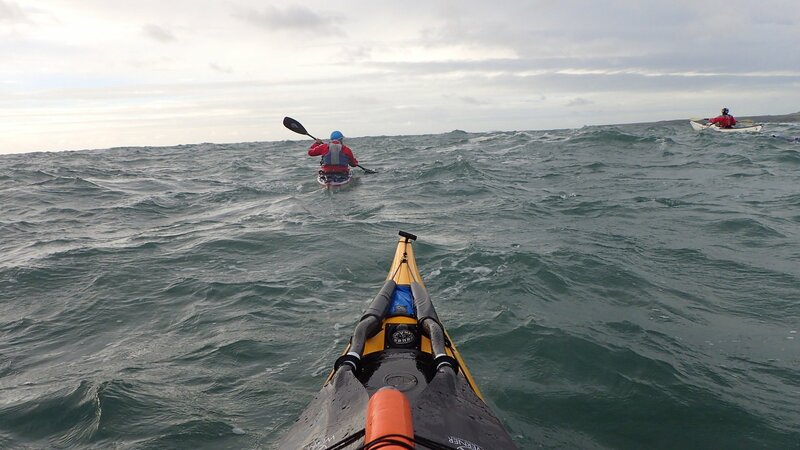 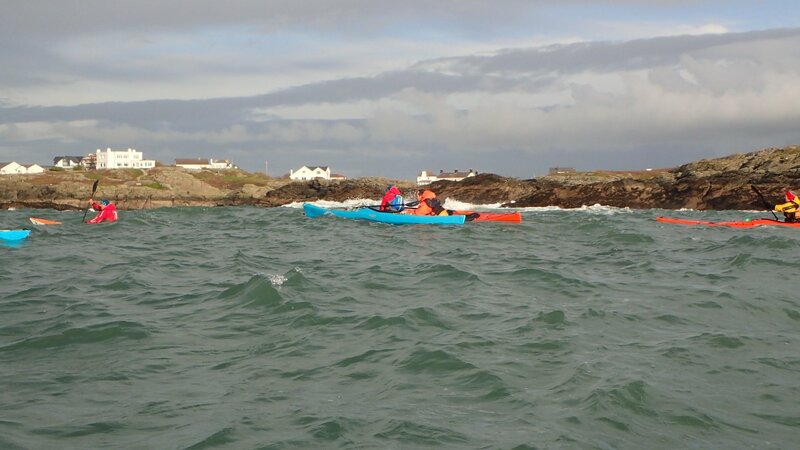 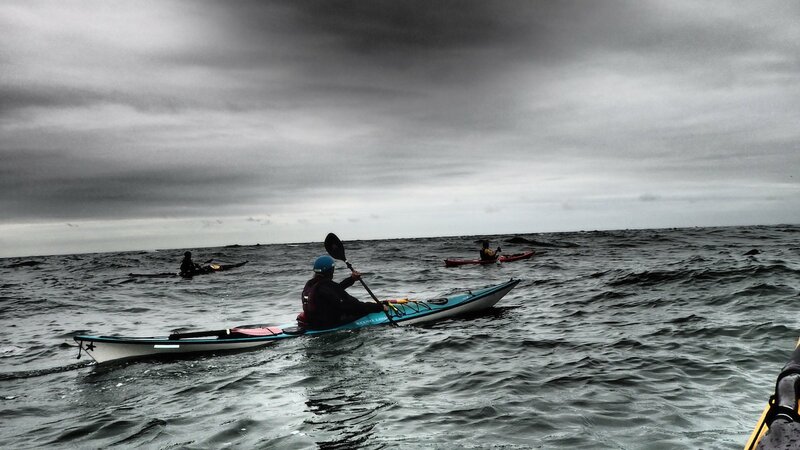 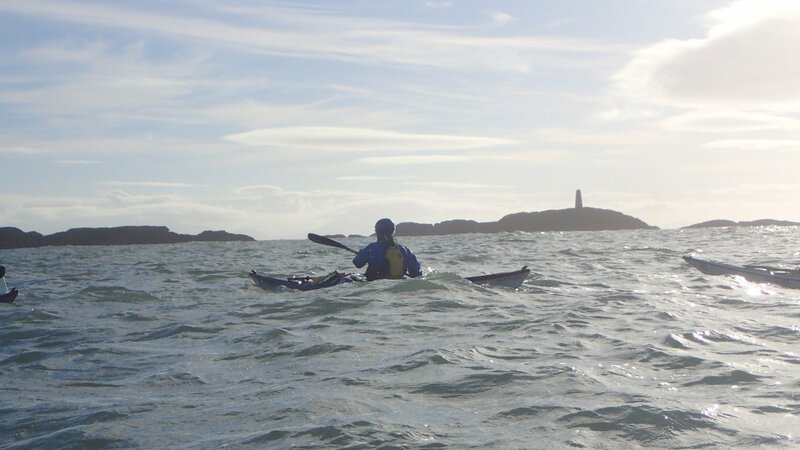 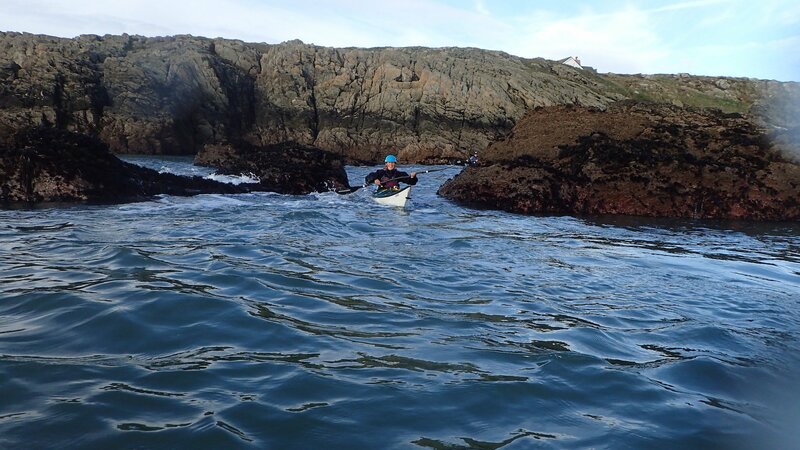 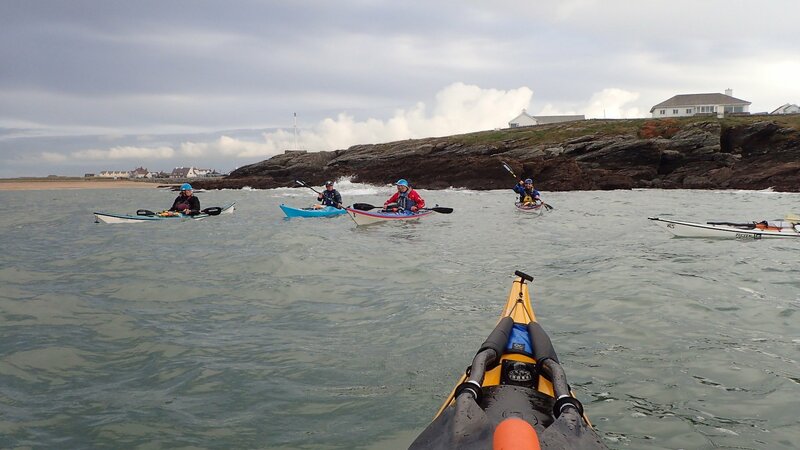 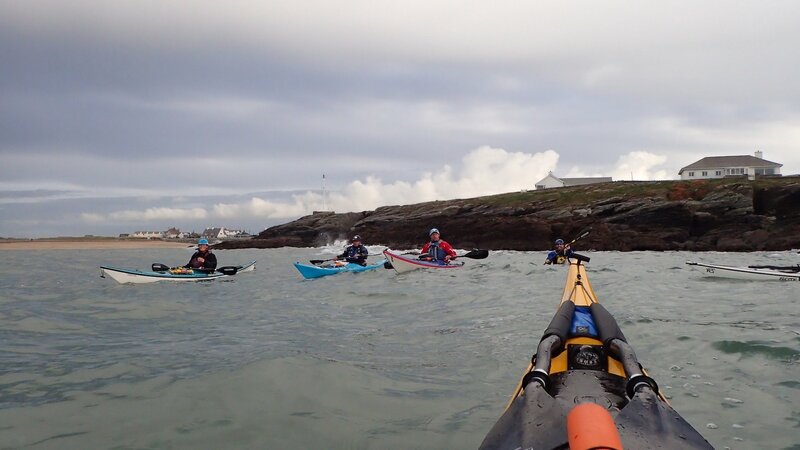 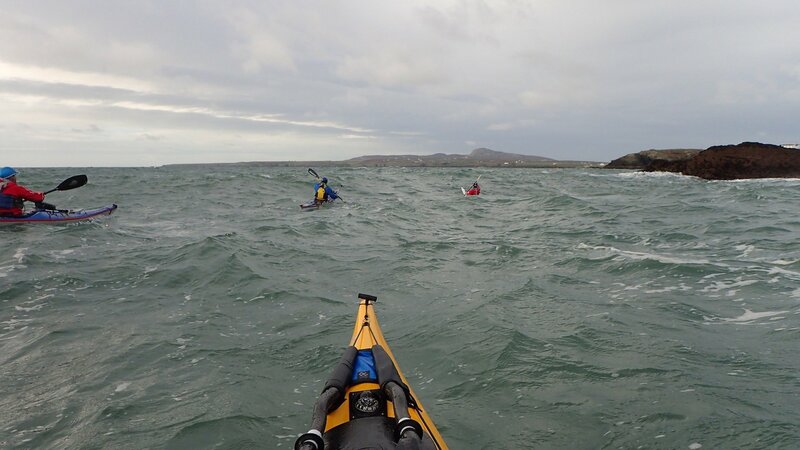 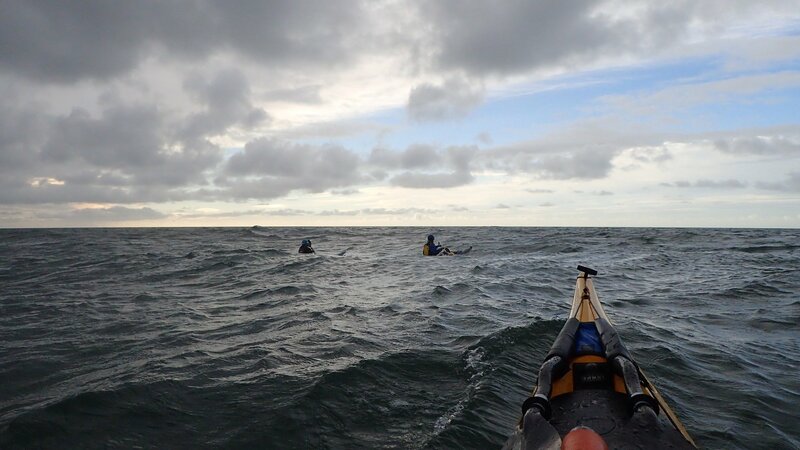 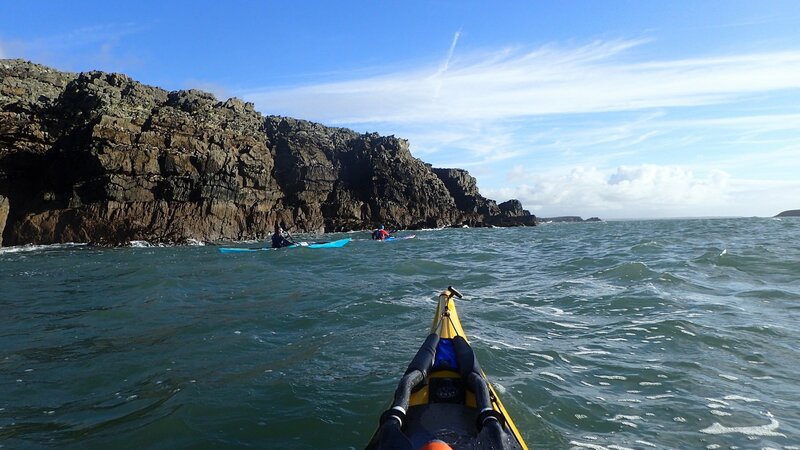 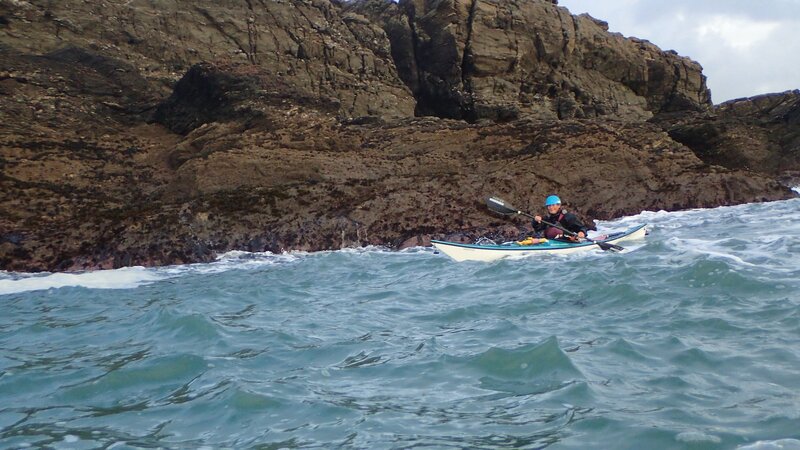 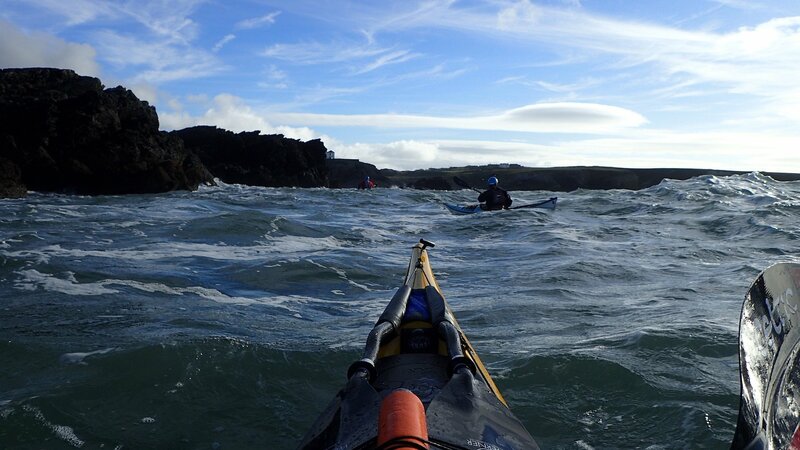 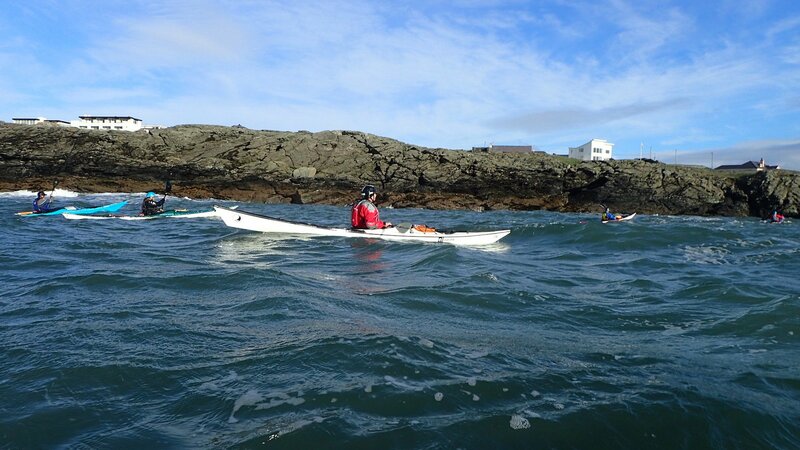 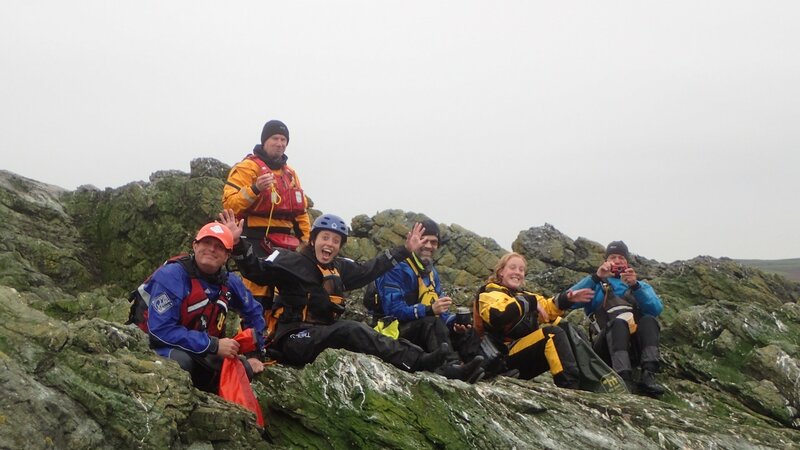 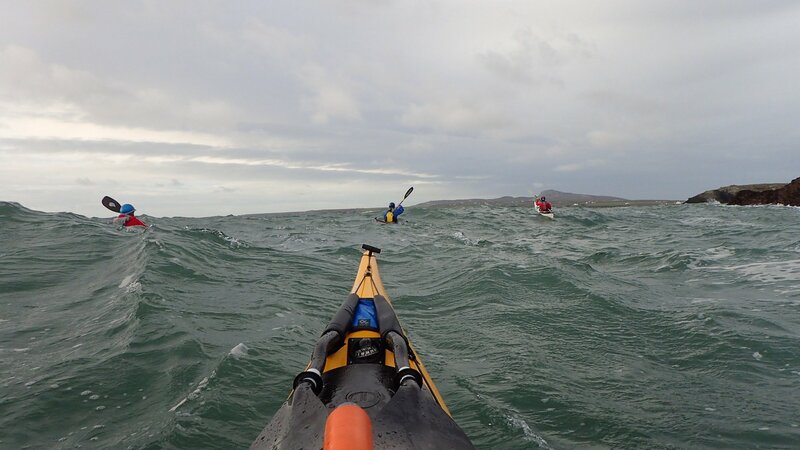 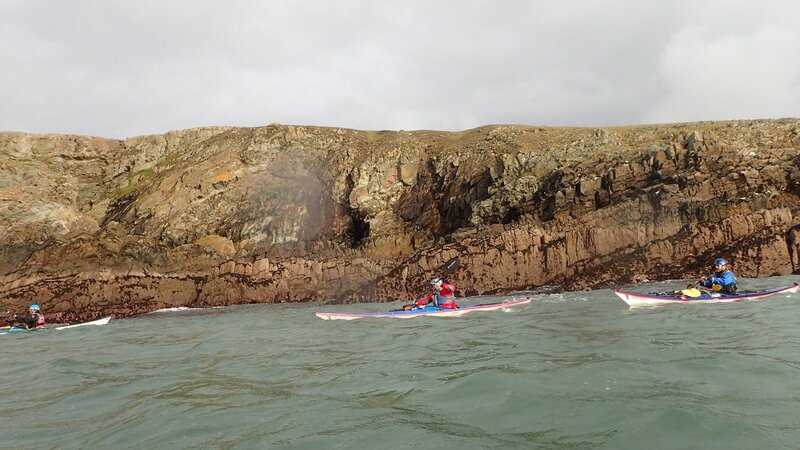 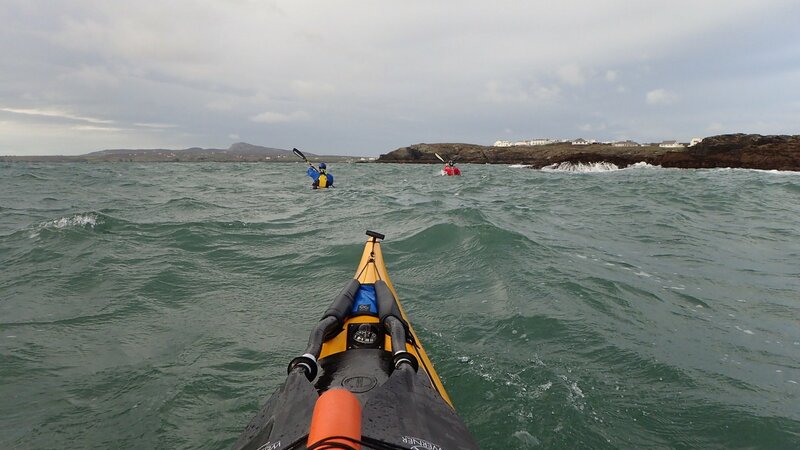 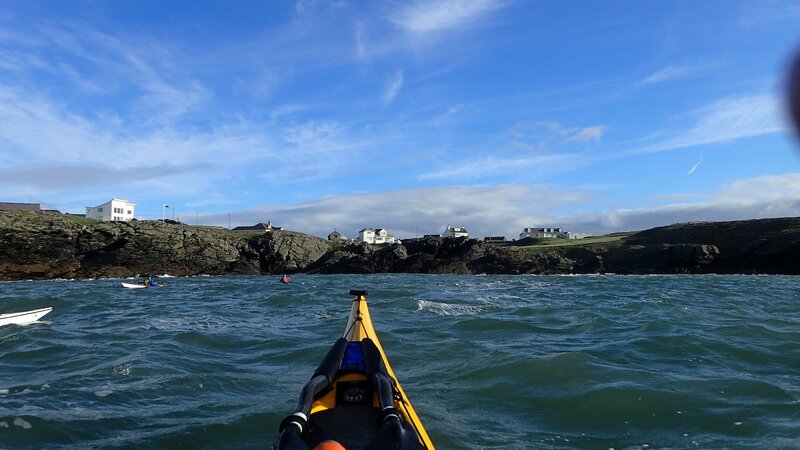 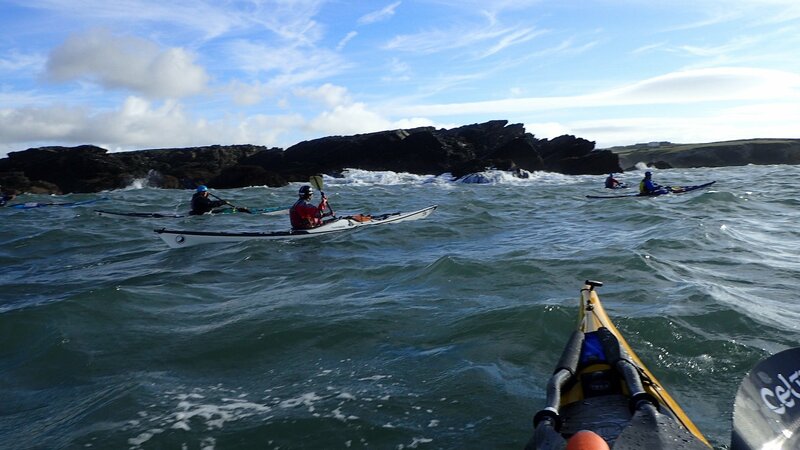 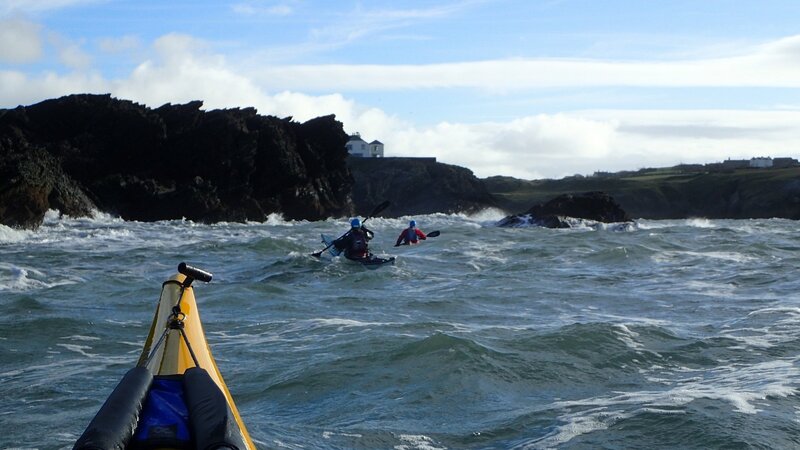 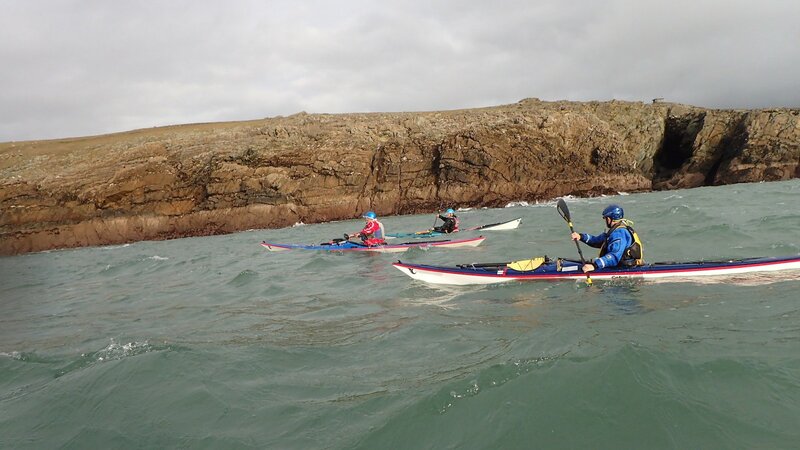 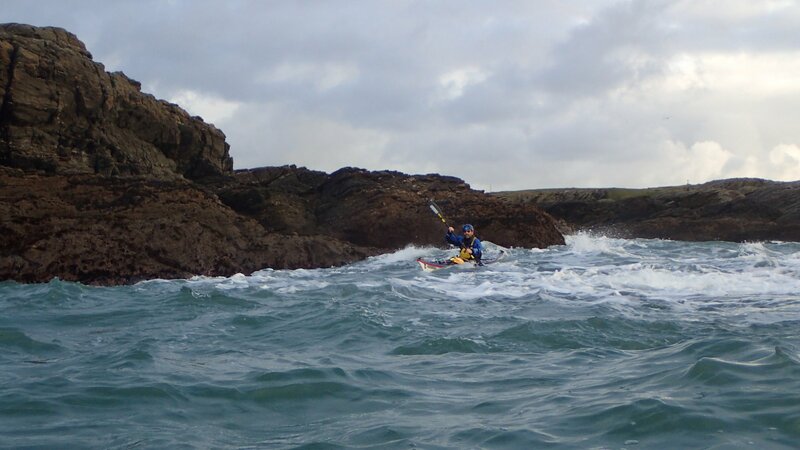 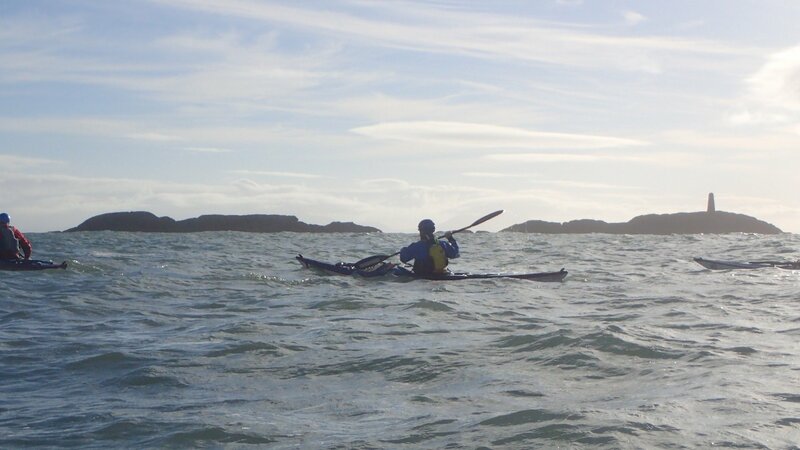 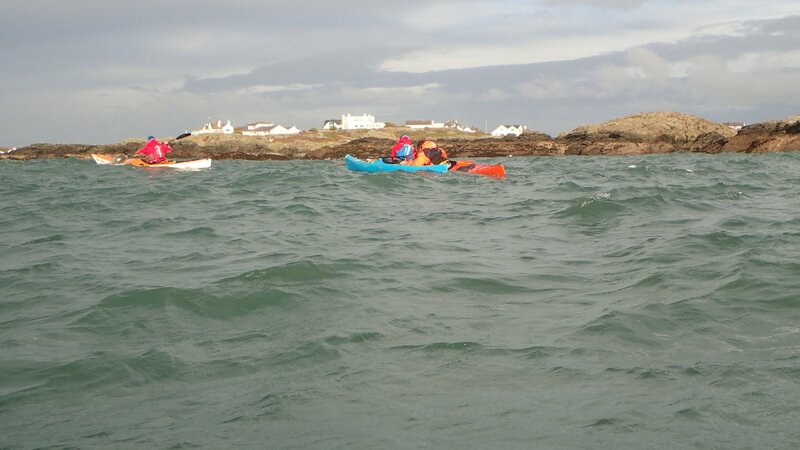 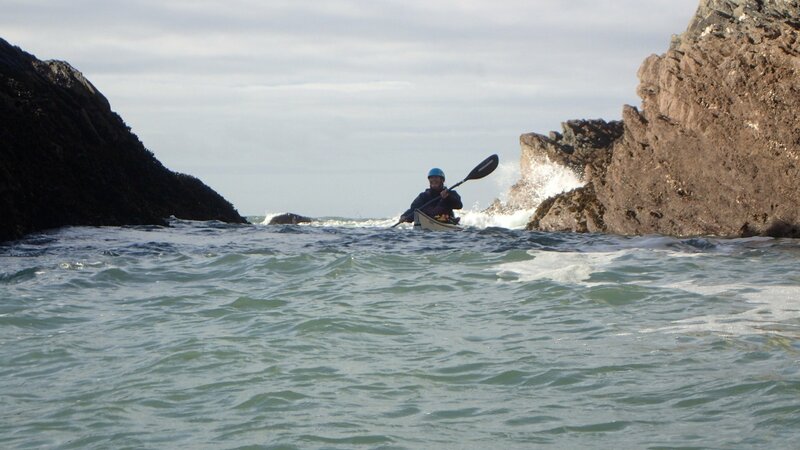 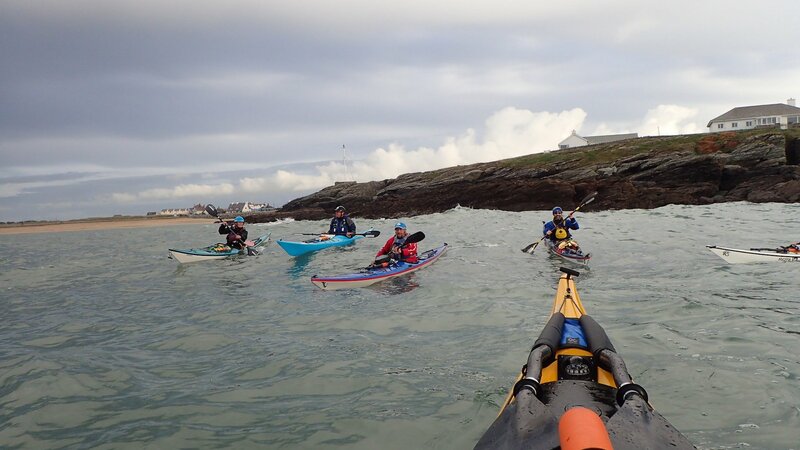 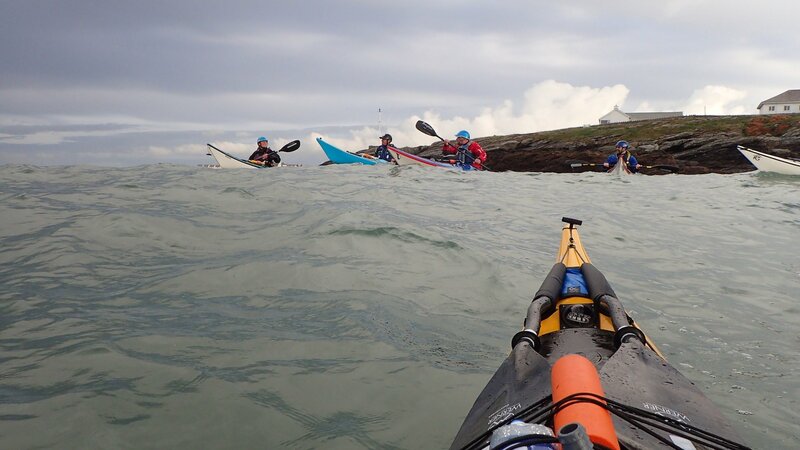 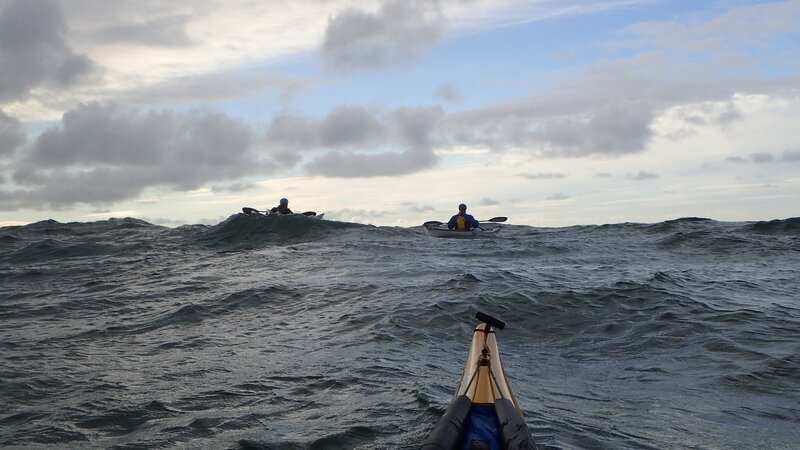 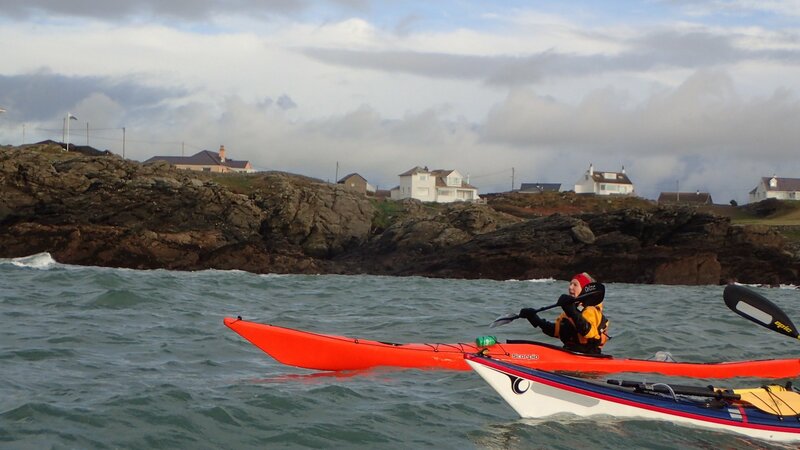 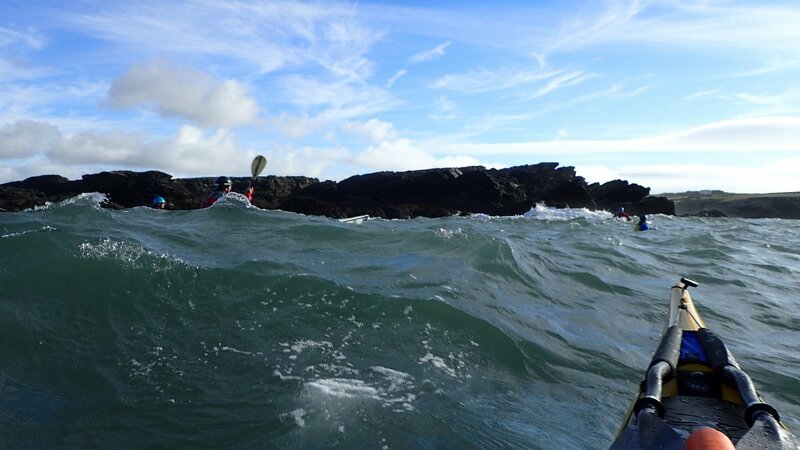 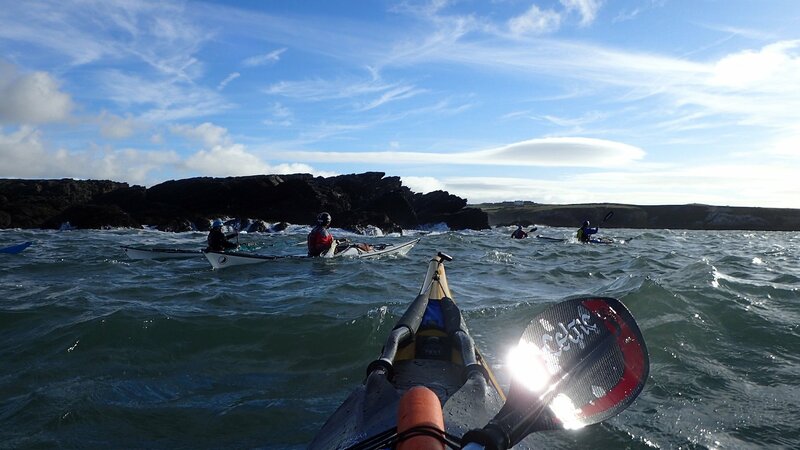 Meeting up at Anglesey Outdoors early on Saturday morning, we split ourselves into groups depending on the weather/swell/tides/conditions and what we wanted to do. 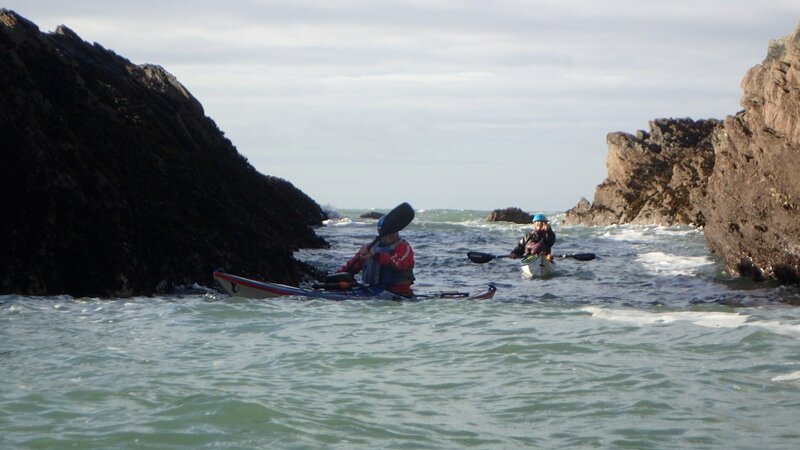 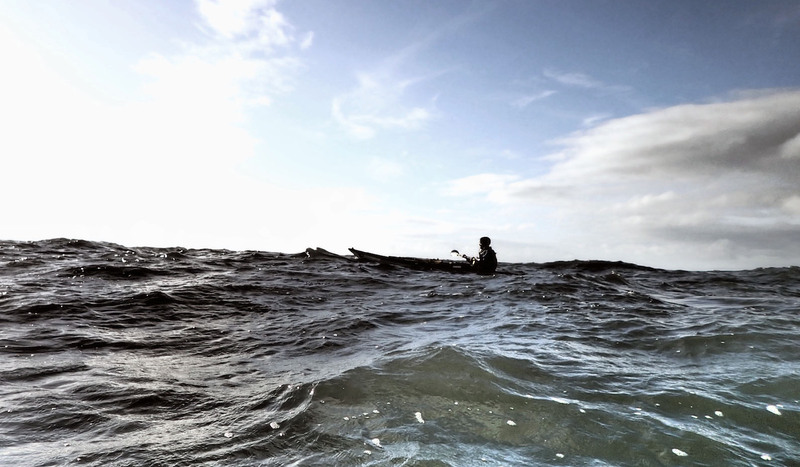 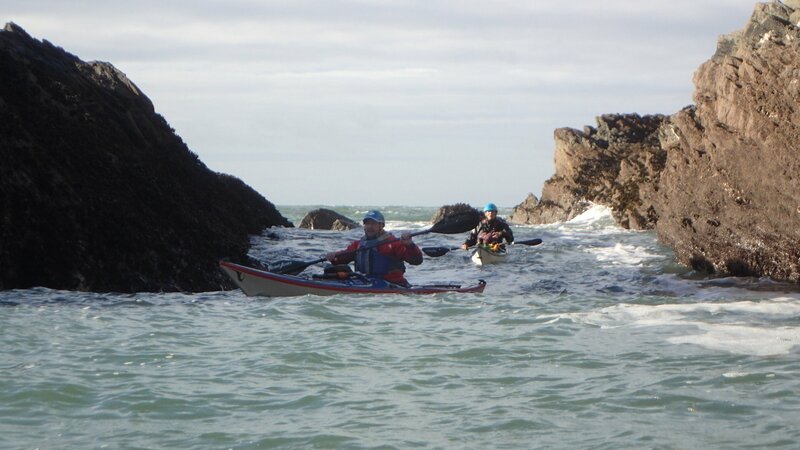 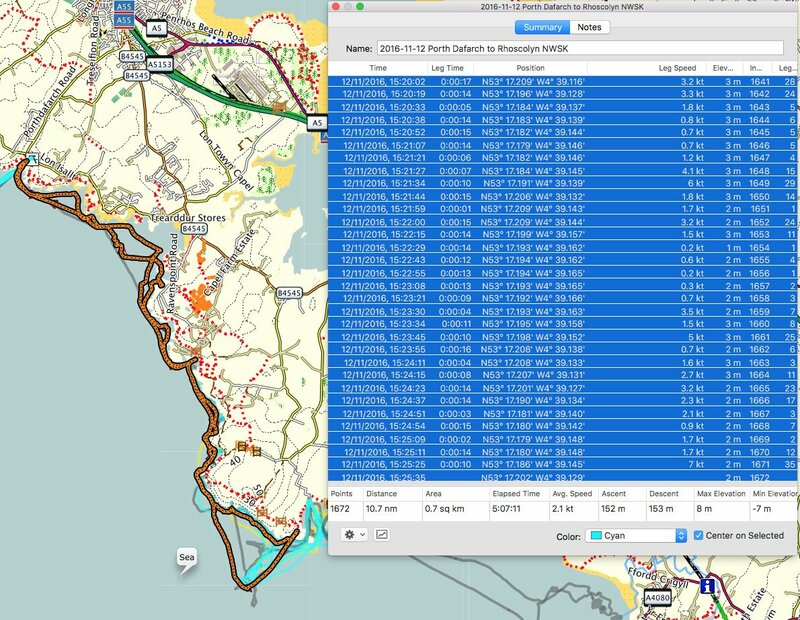 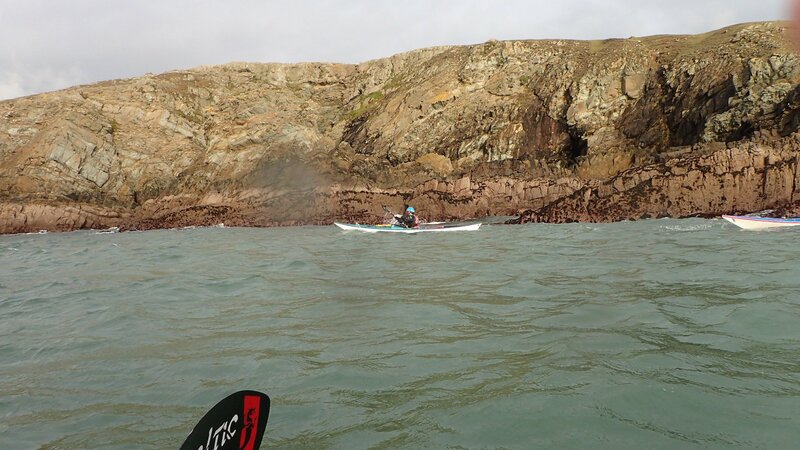 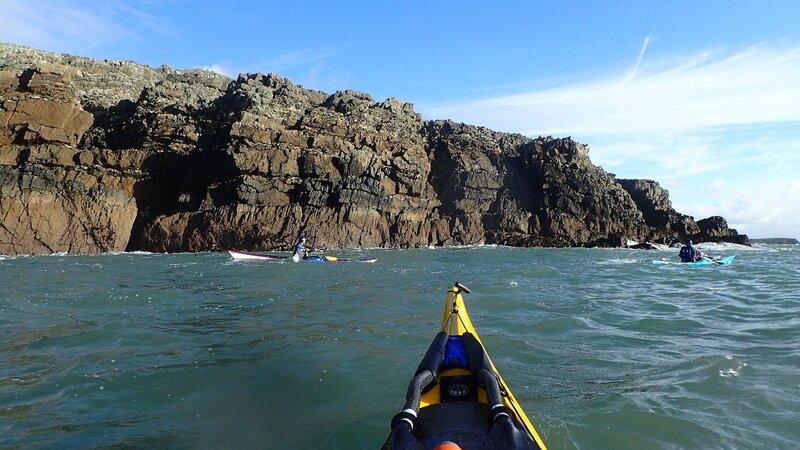 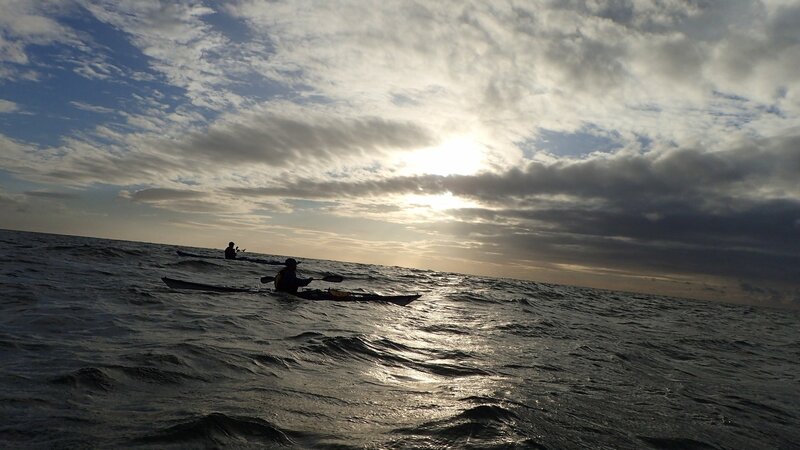 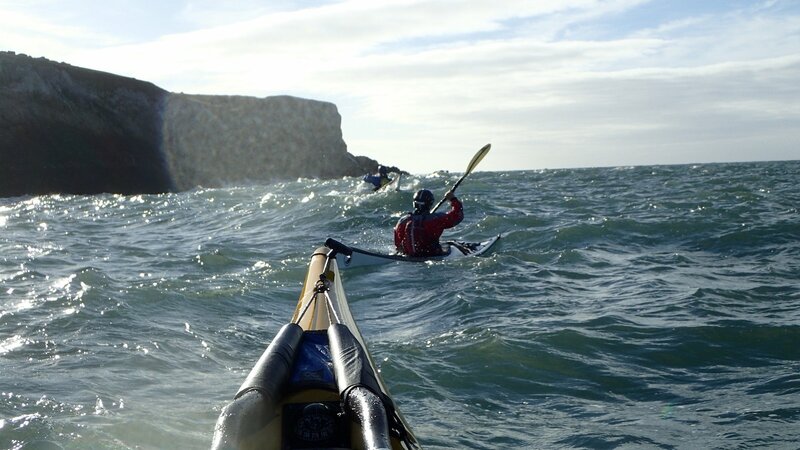 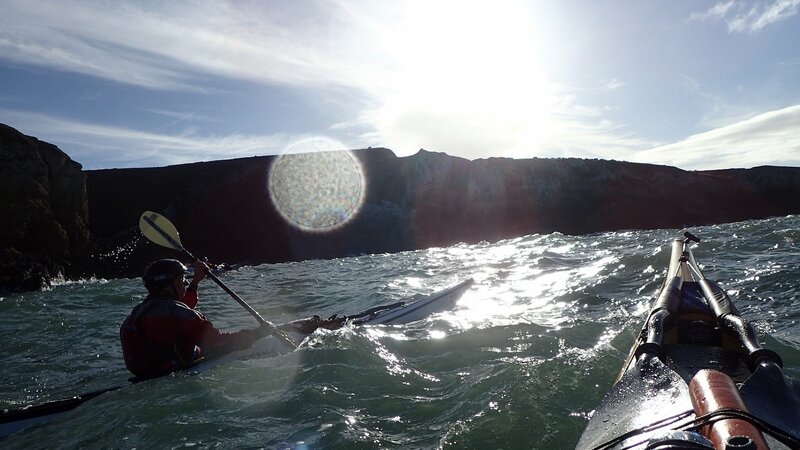 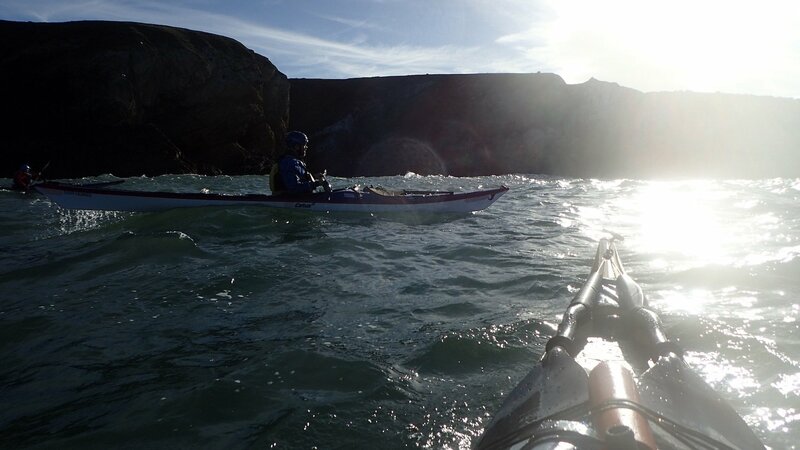 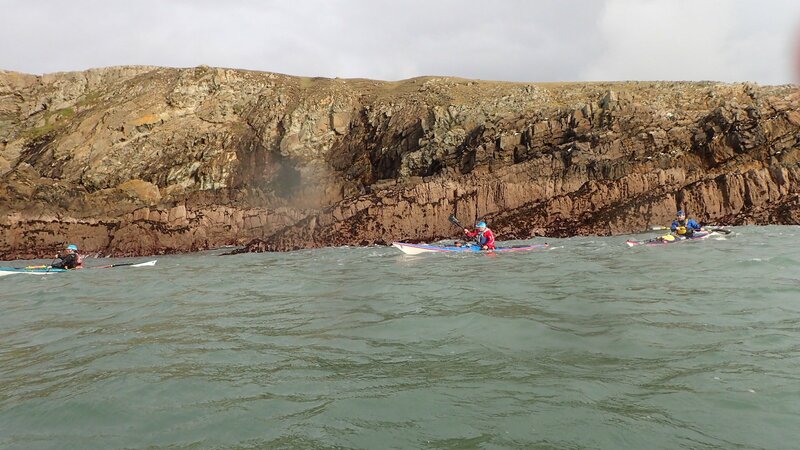 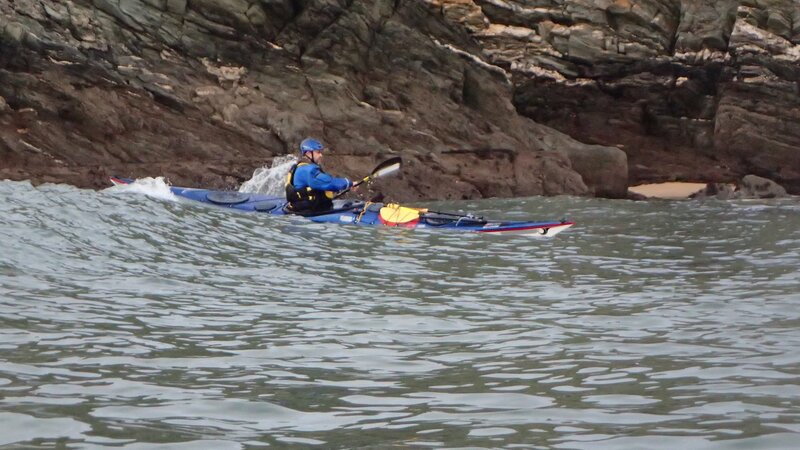 I Paddled with Jimski, Graham Cooke, Sue Couling, Dez Watson and Alan Riggott. 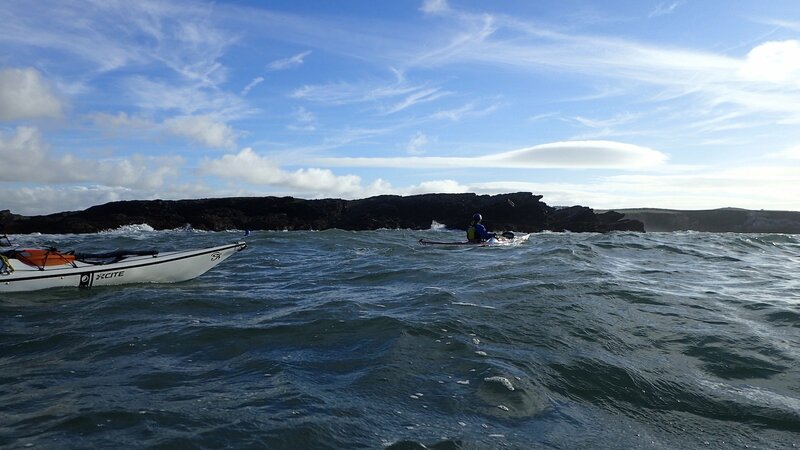 Jimski lead the trip. 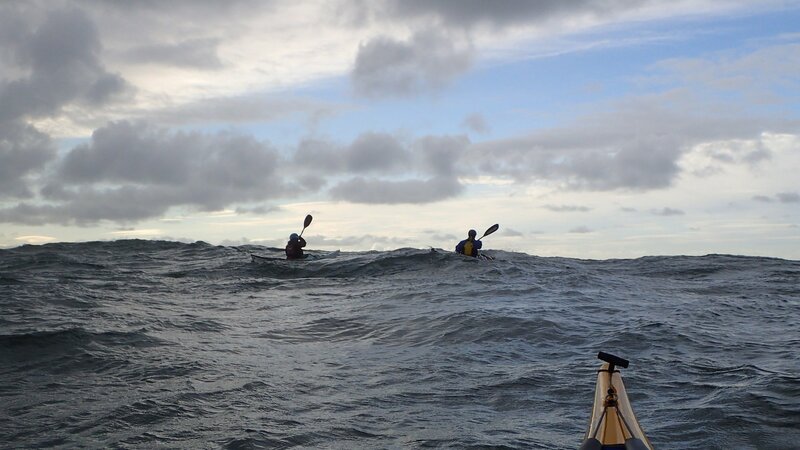 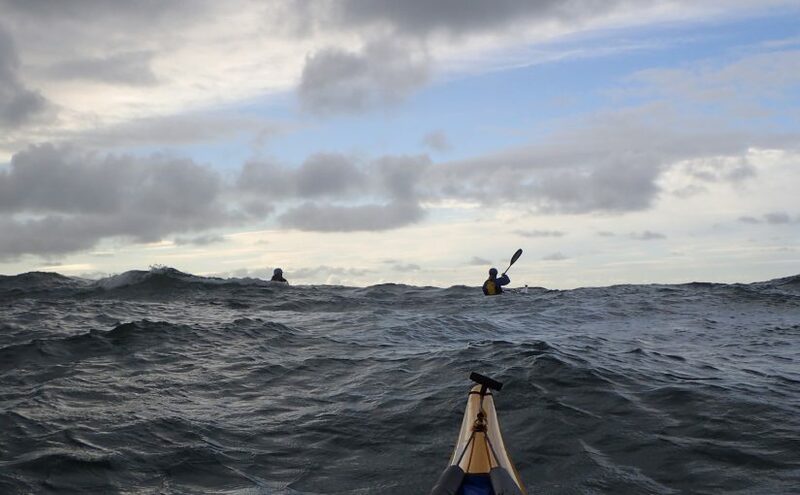 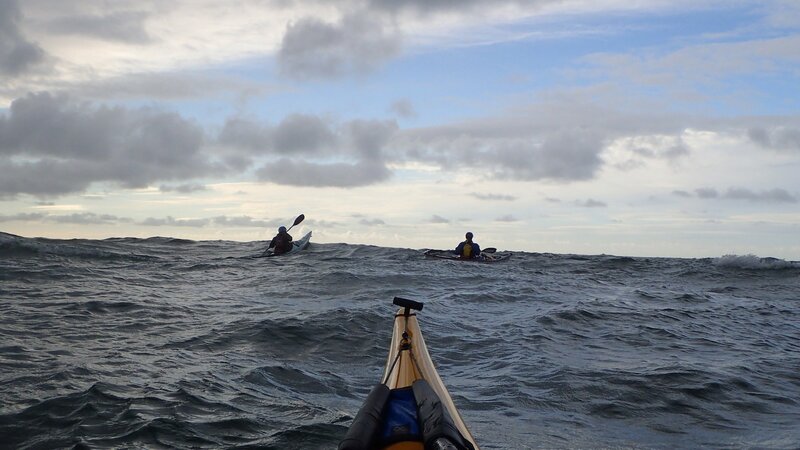 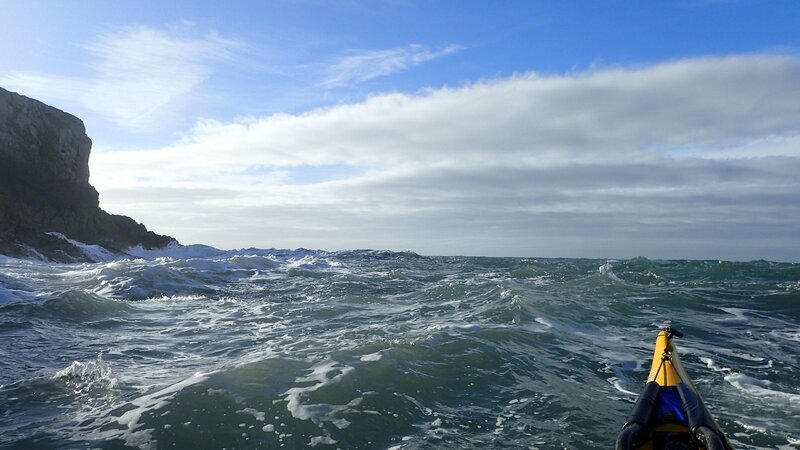 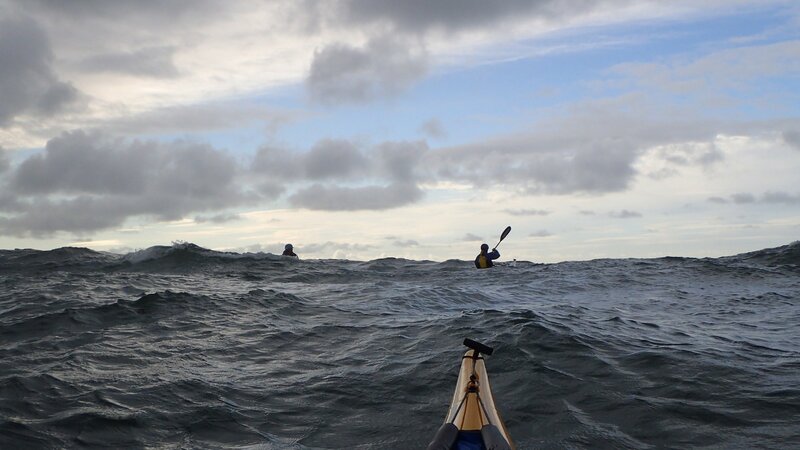 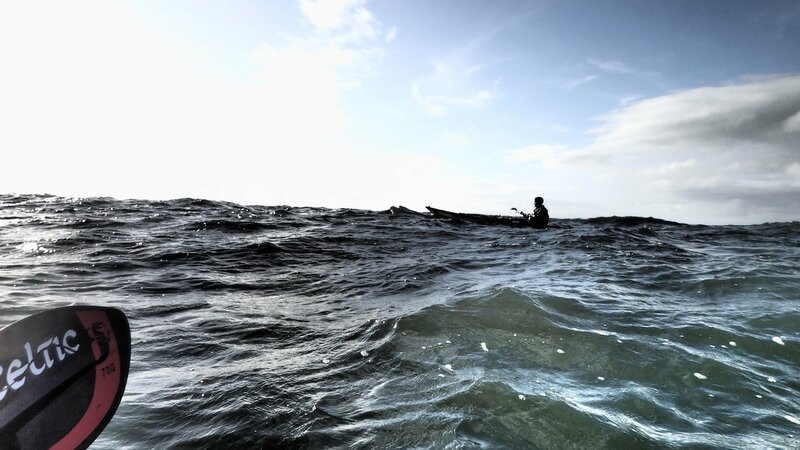 After the overnight storm, there was lots of swell and fairly lumpy conditions. 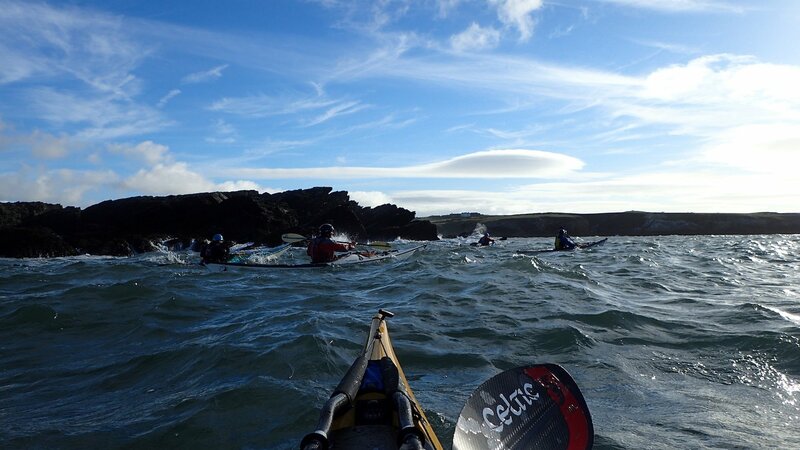 These conditions would have been perfect for my 4 star assessment a couple of weeks earlier. 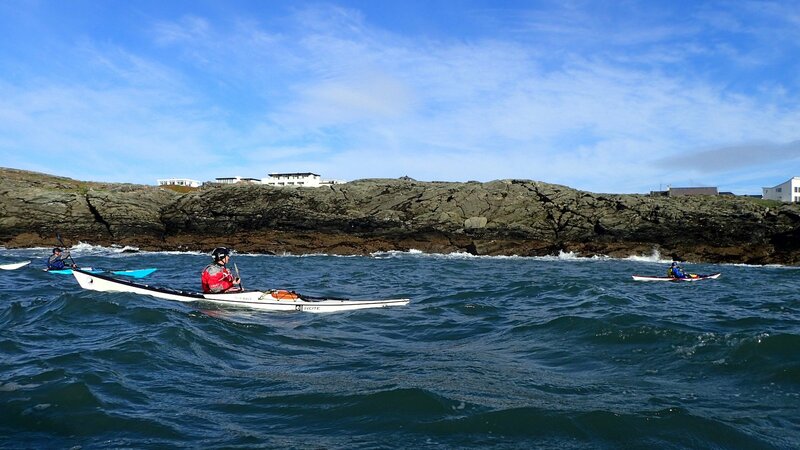 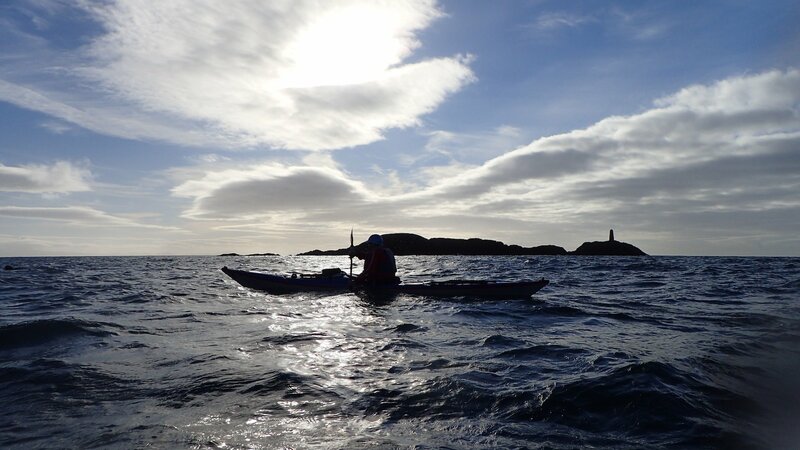 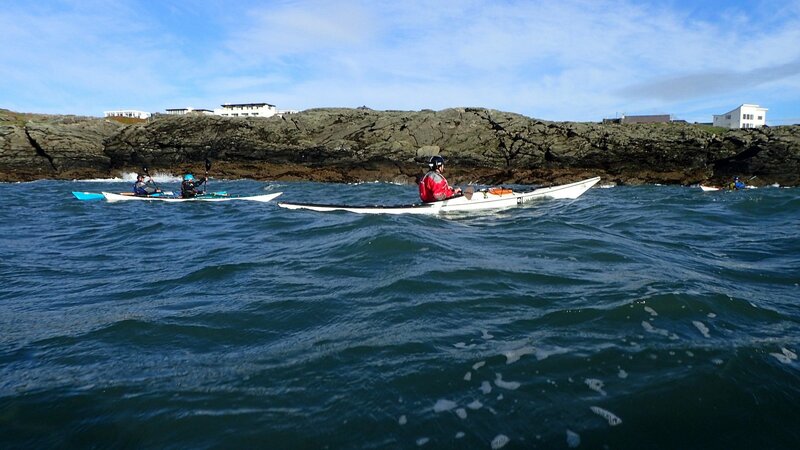 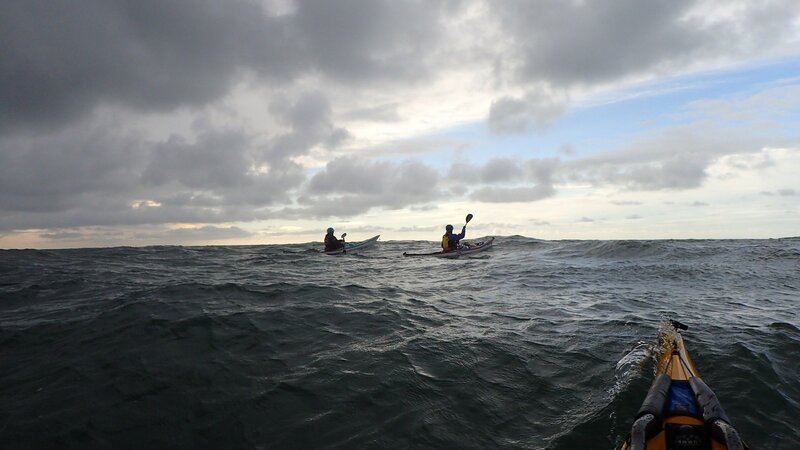 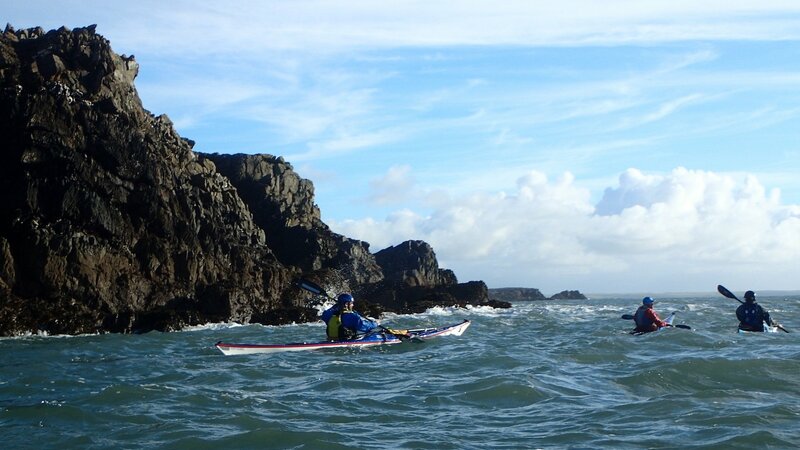 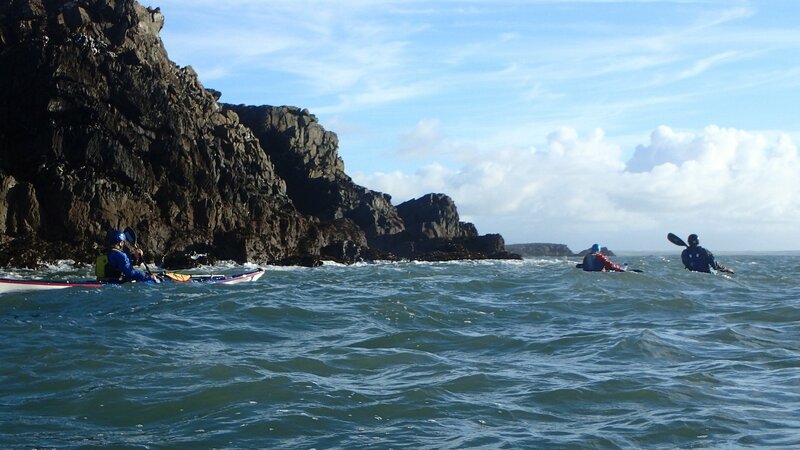 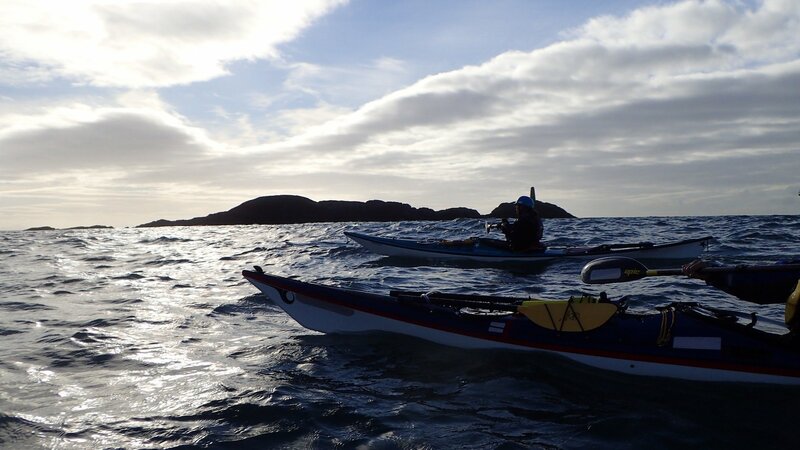 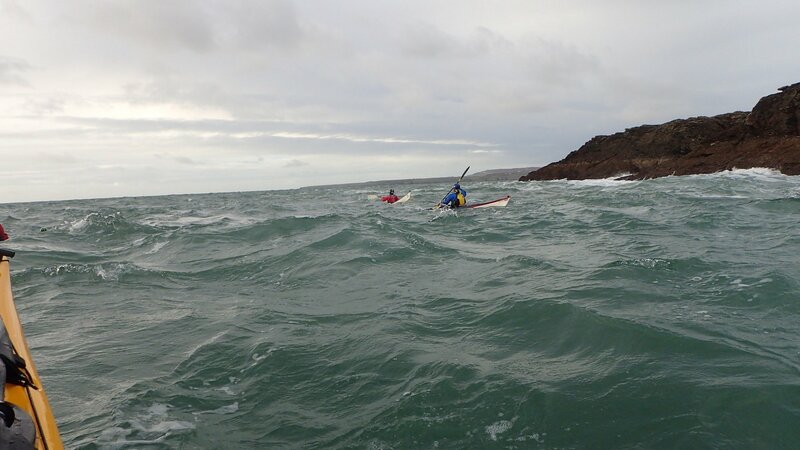 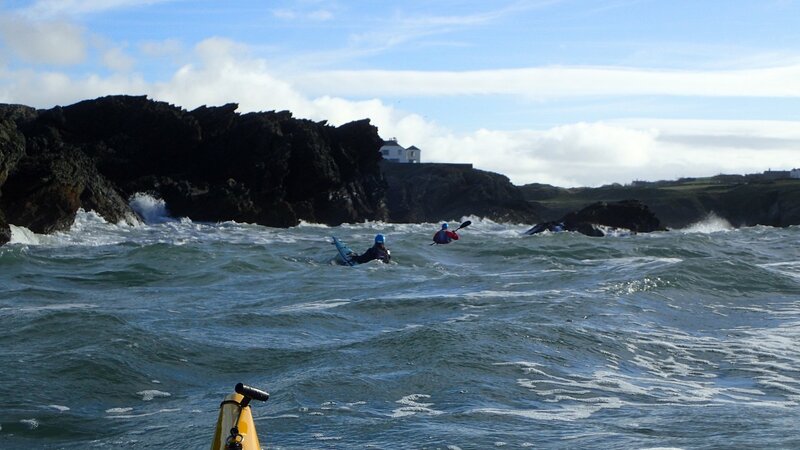 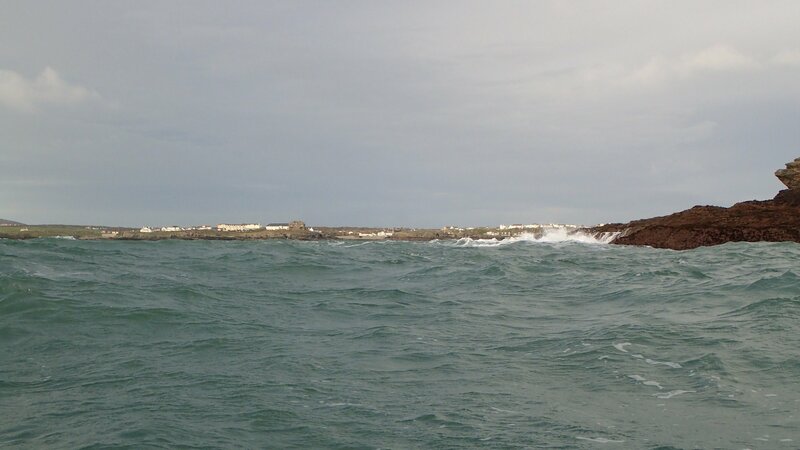 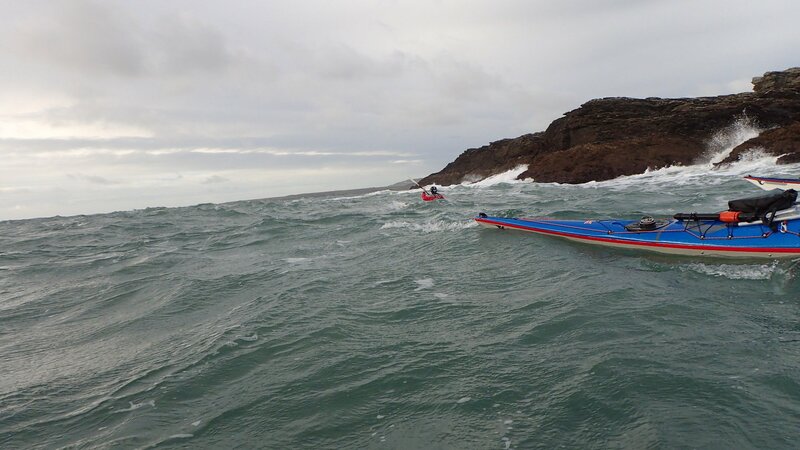 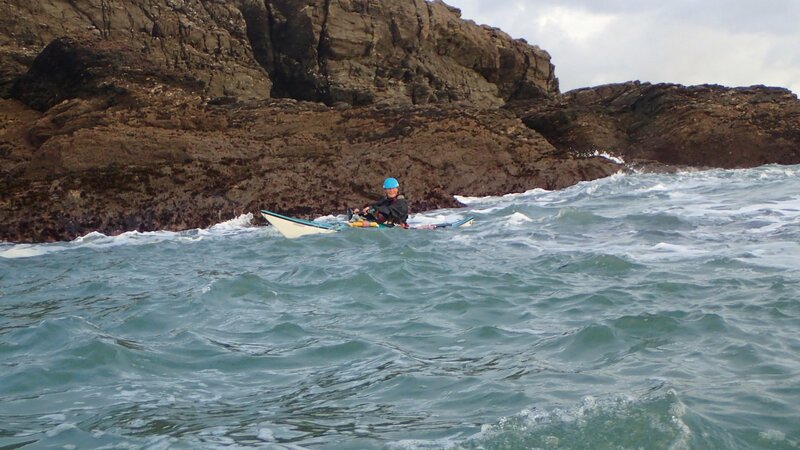 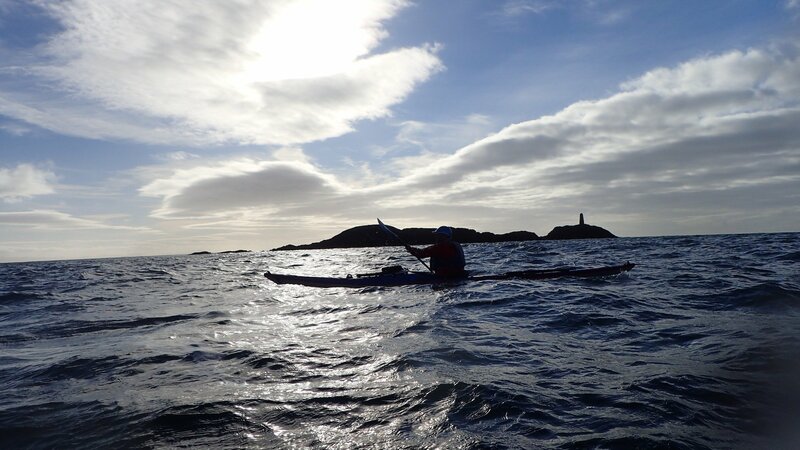 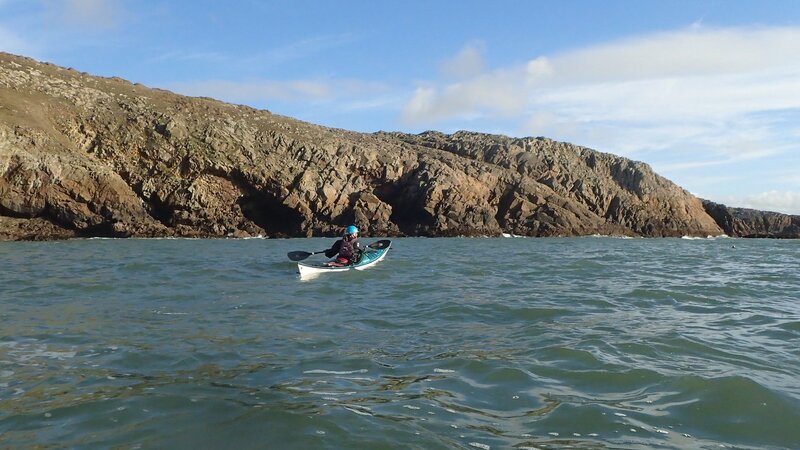 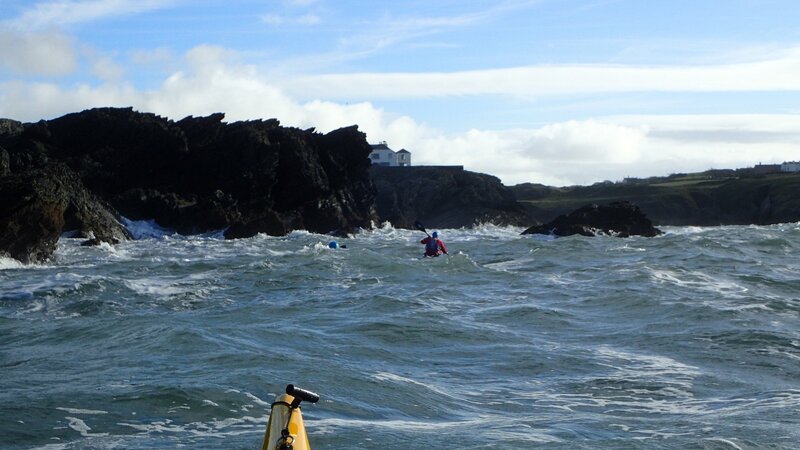 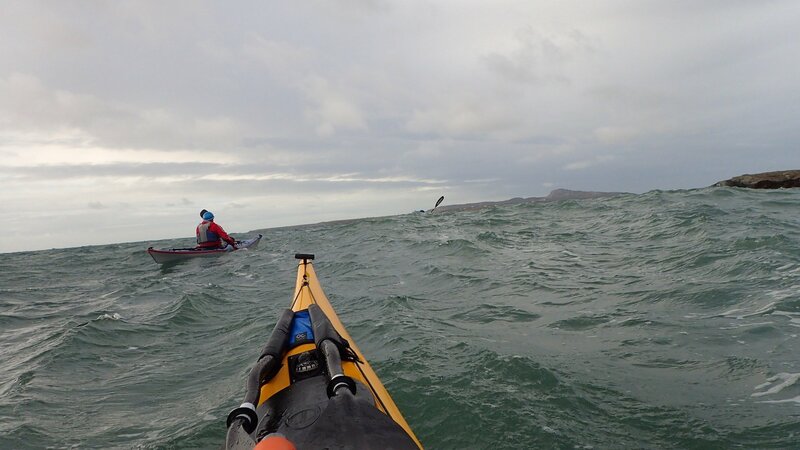 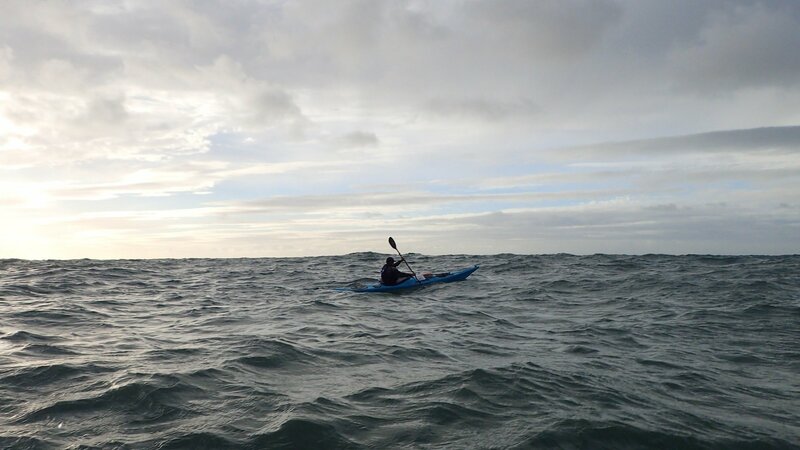 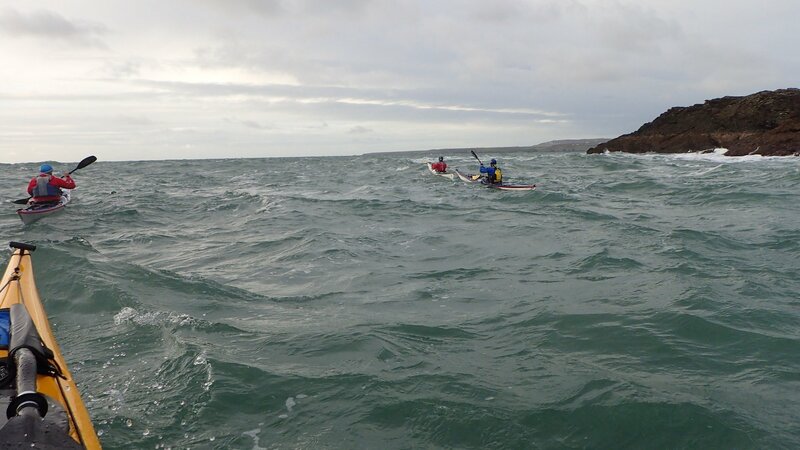 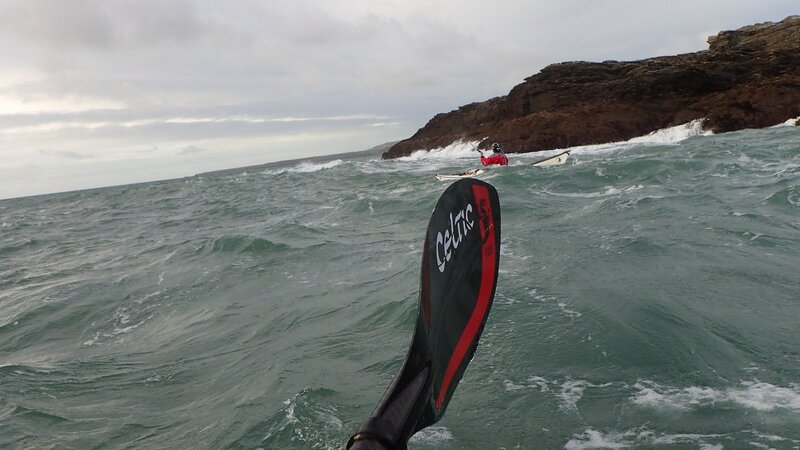 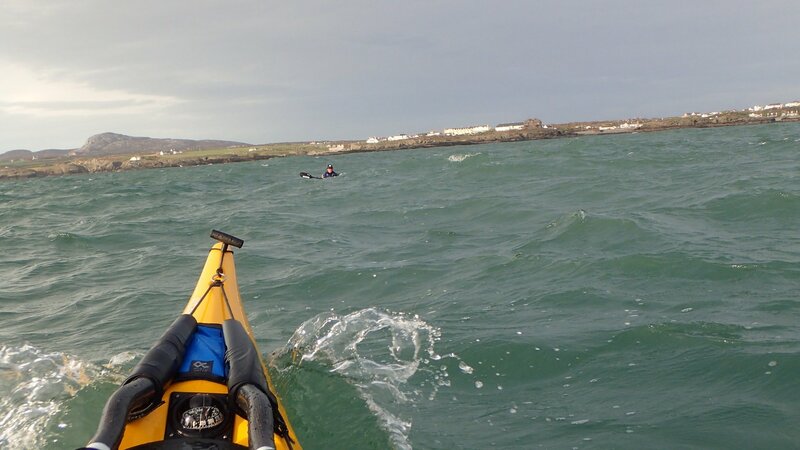 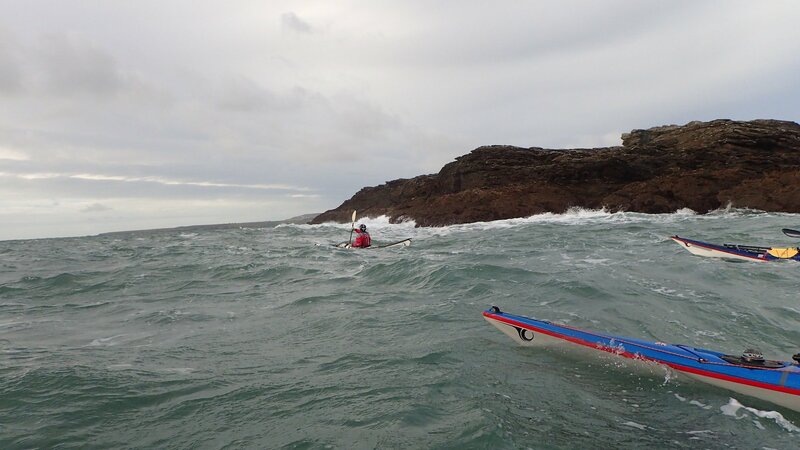 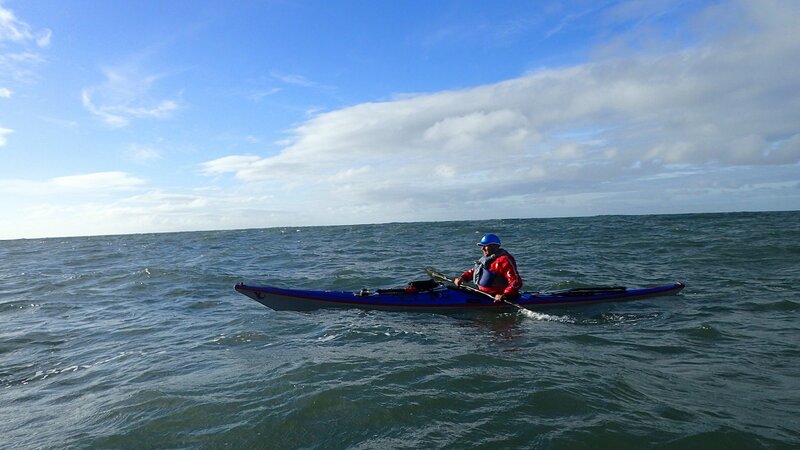 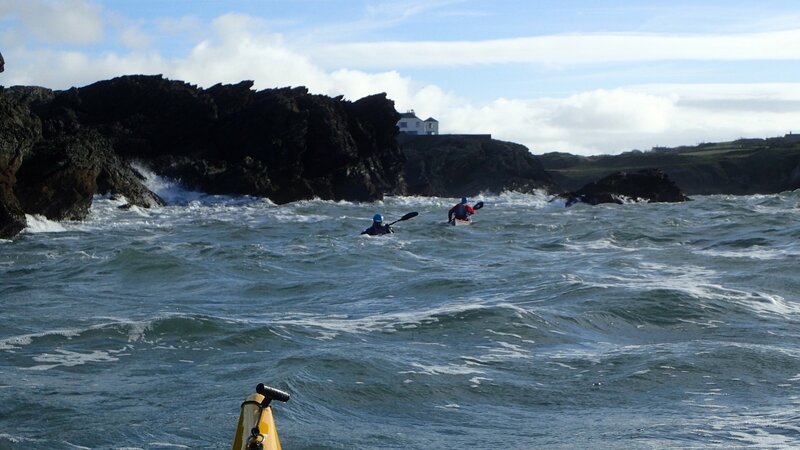 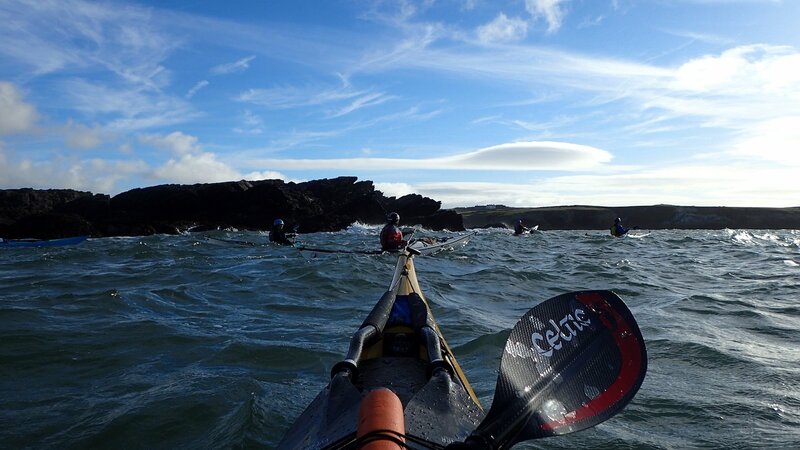 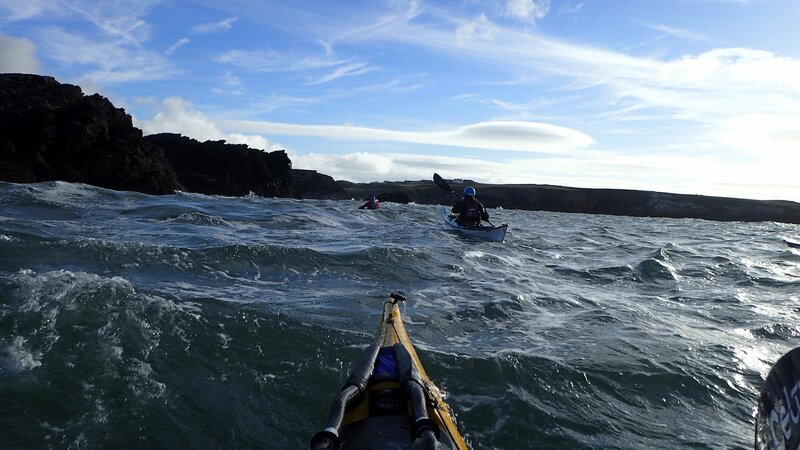 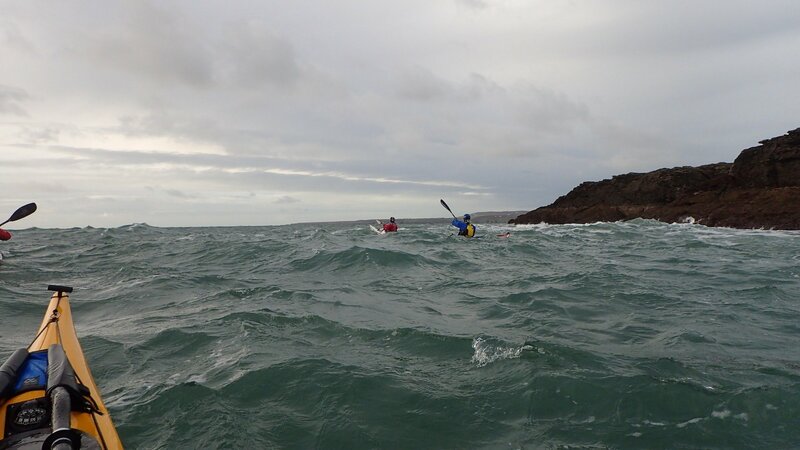 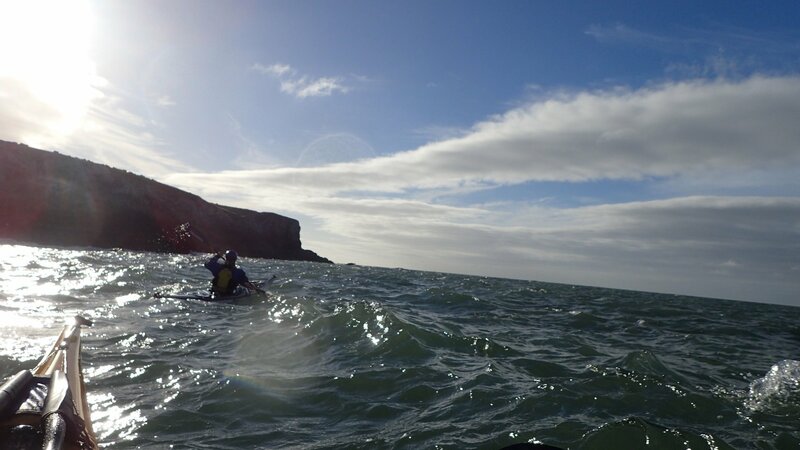 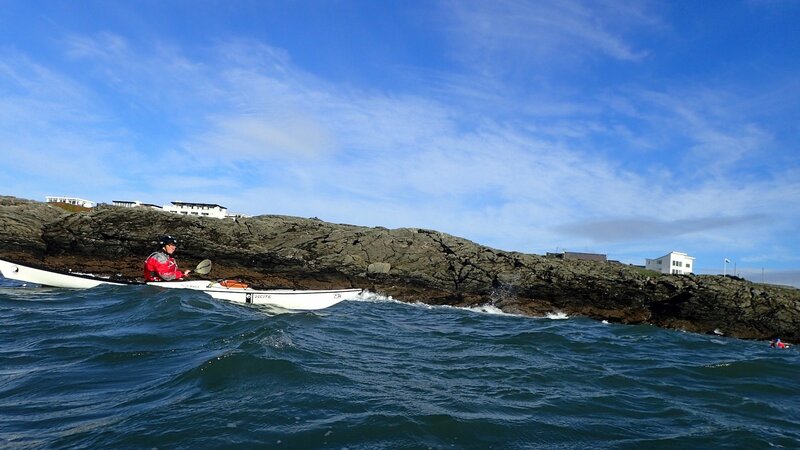 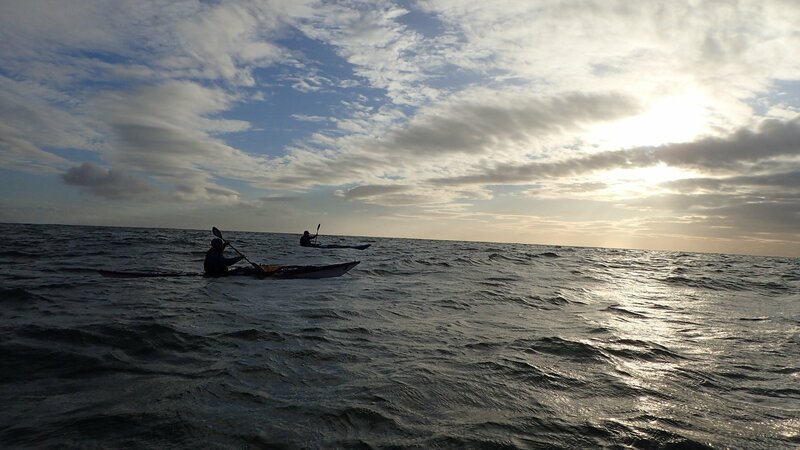 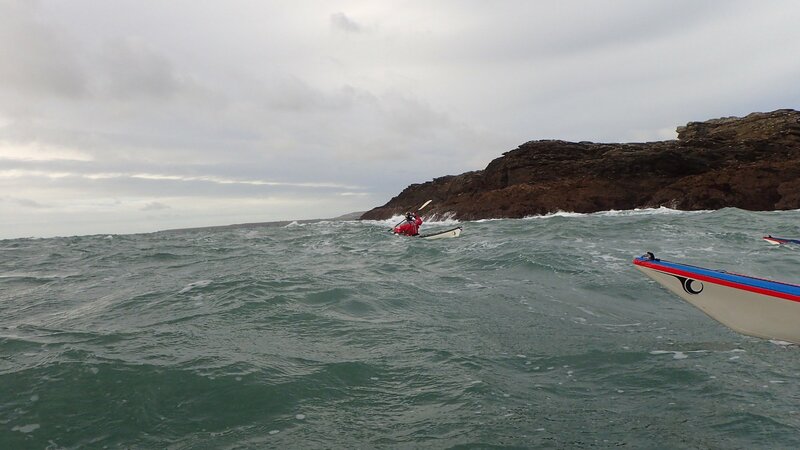 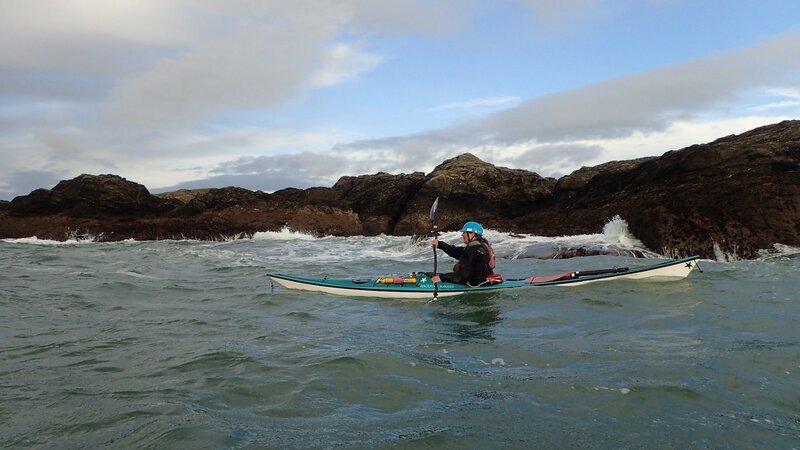 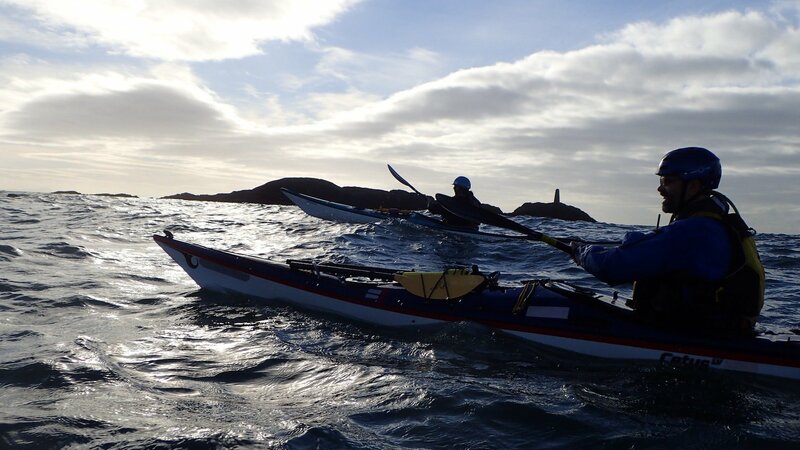 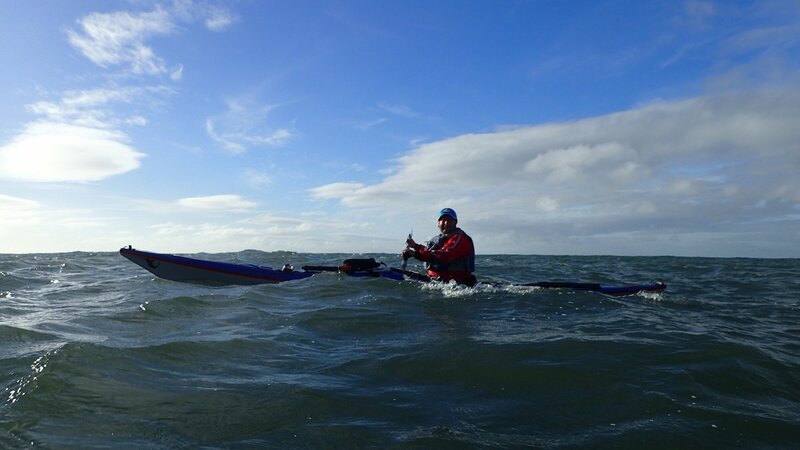 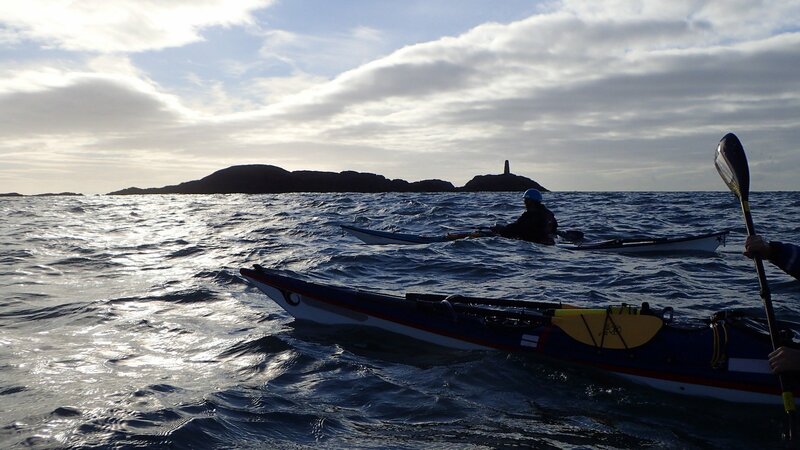 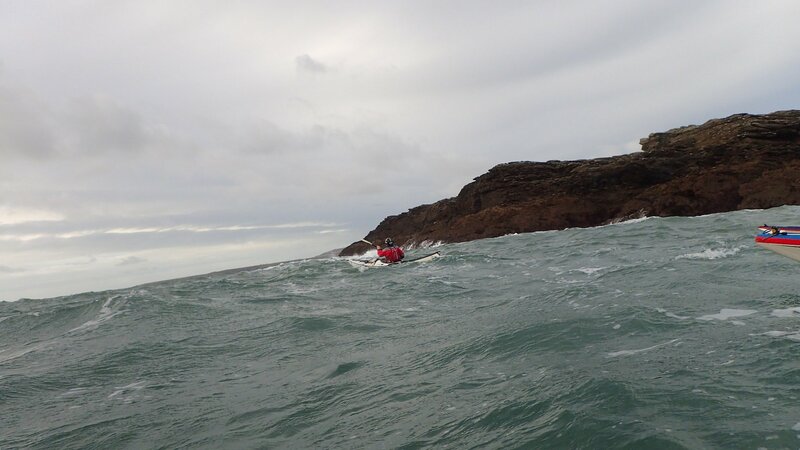 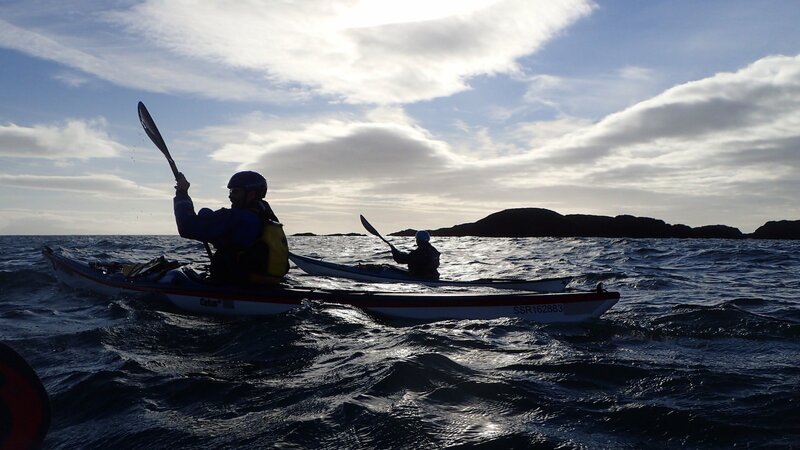 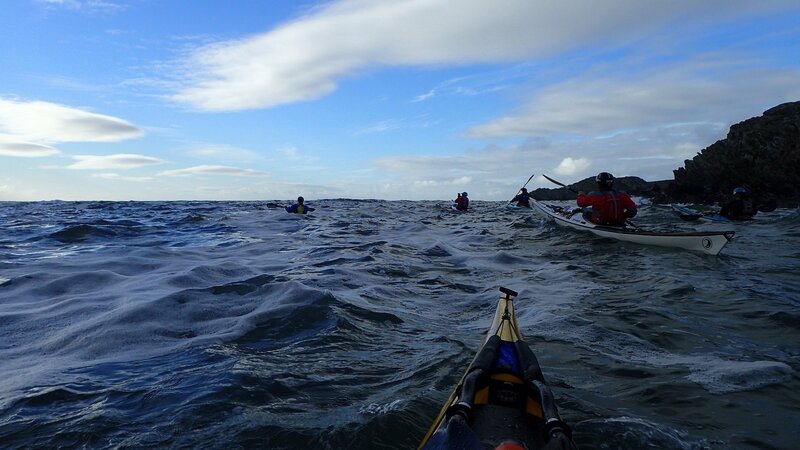 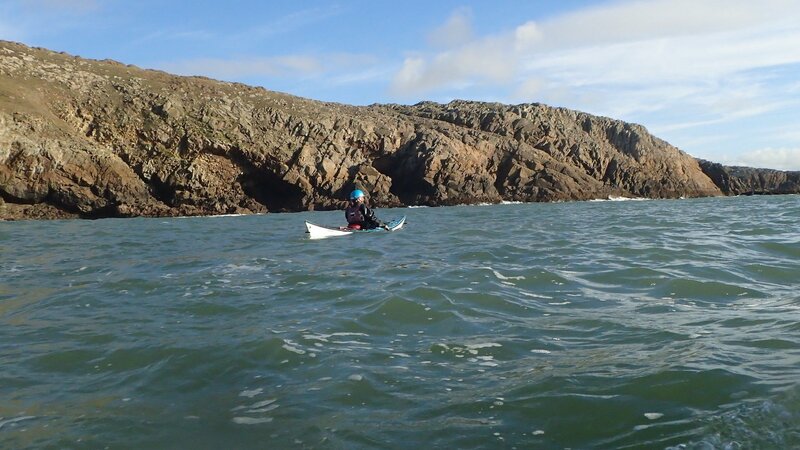 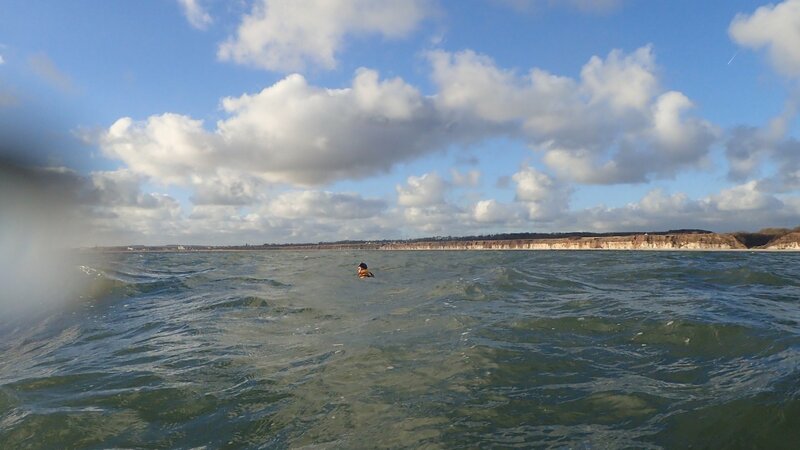 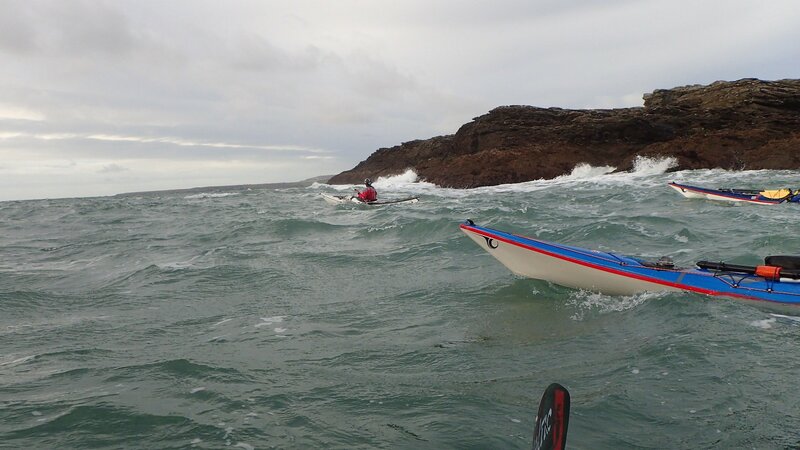 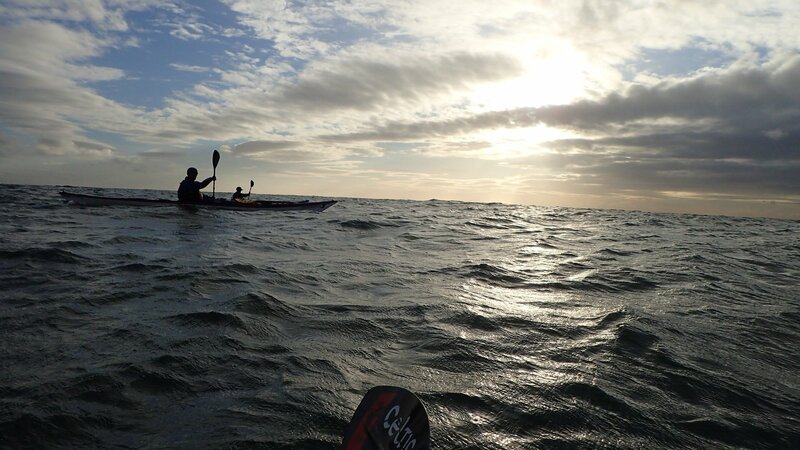 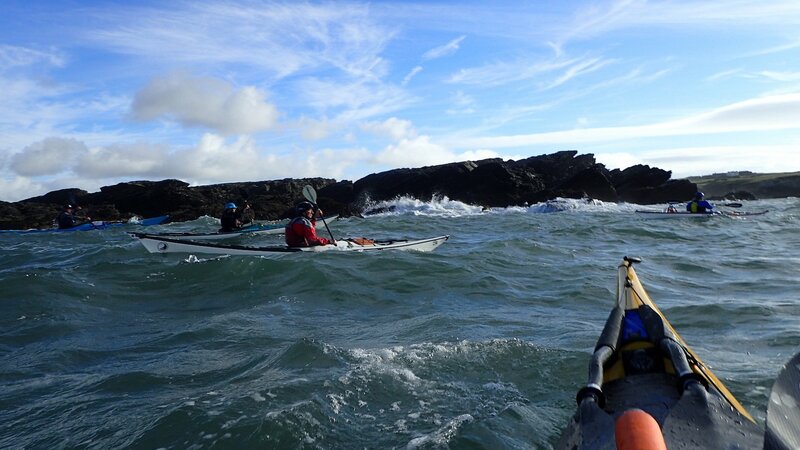 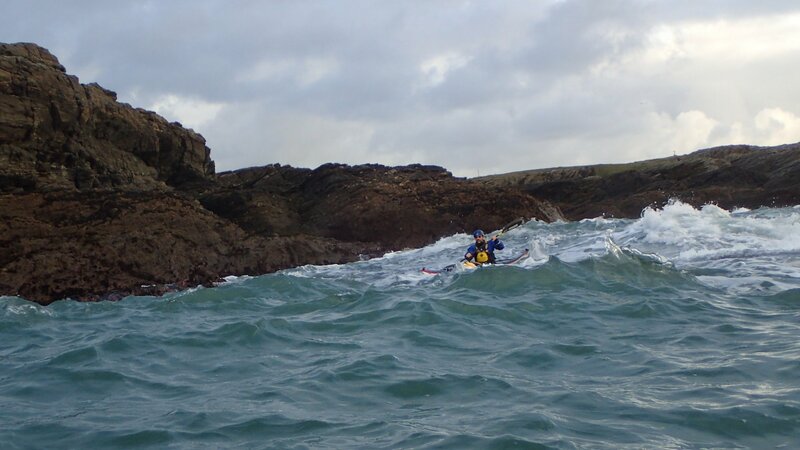 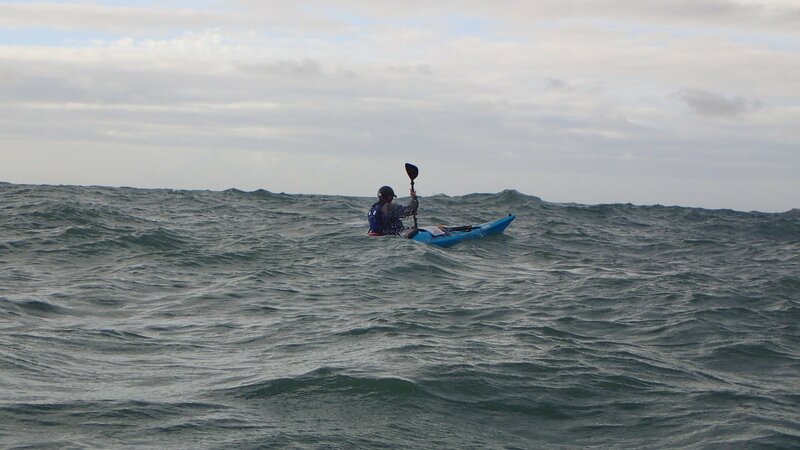 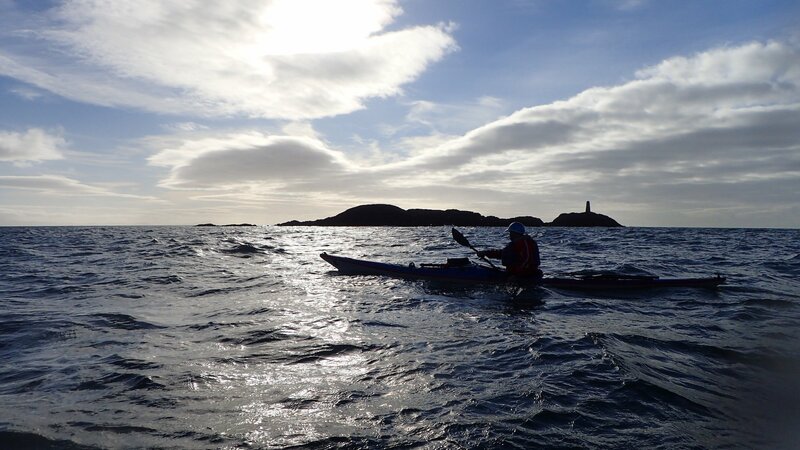 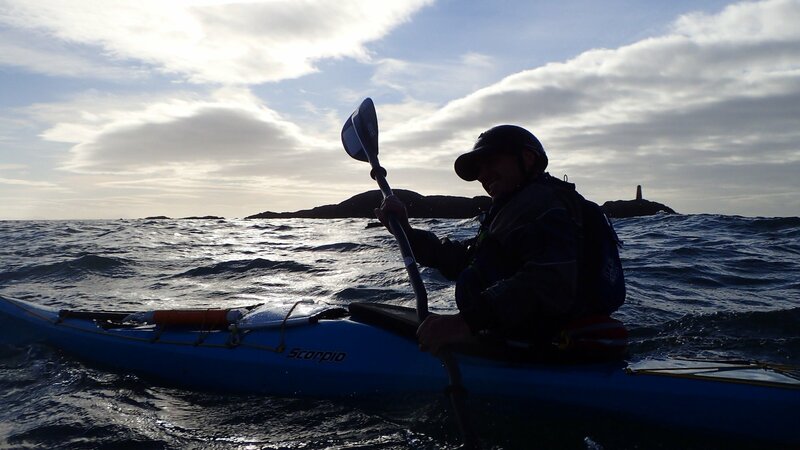 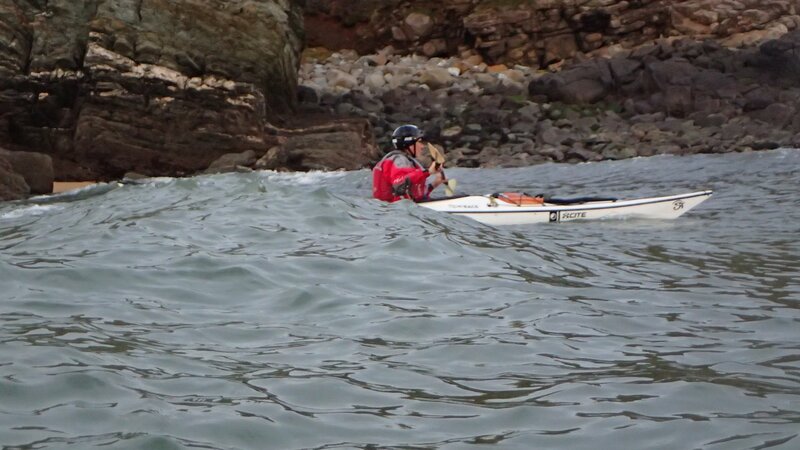 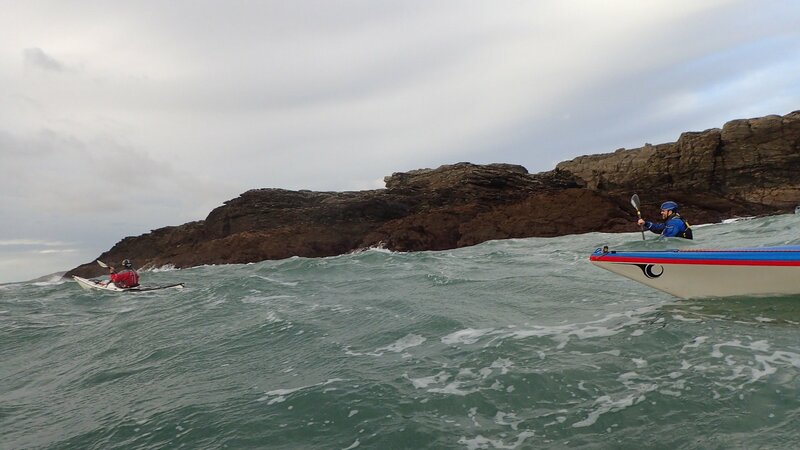 Despite the swell, the winds were light and there were occasional sunny periods. 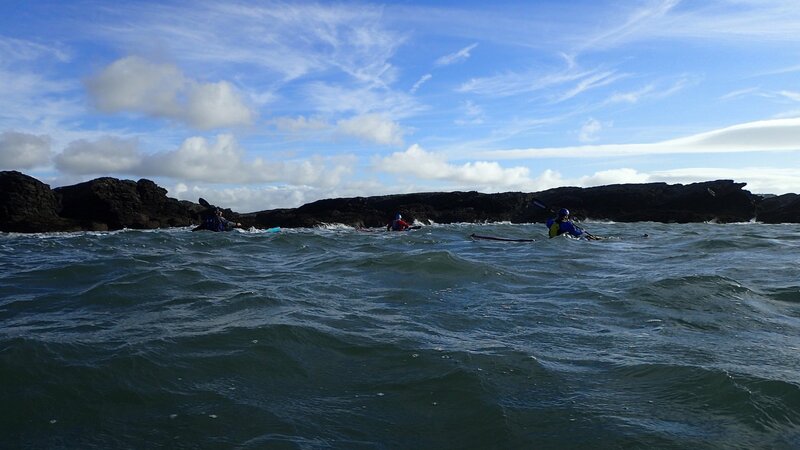 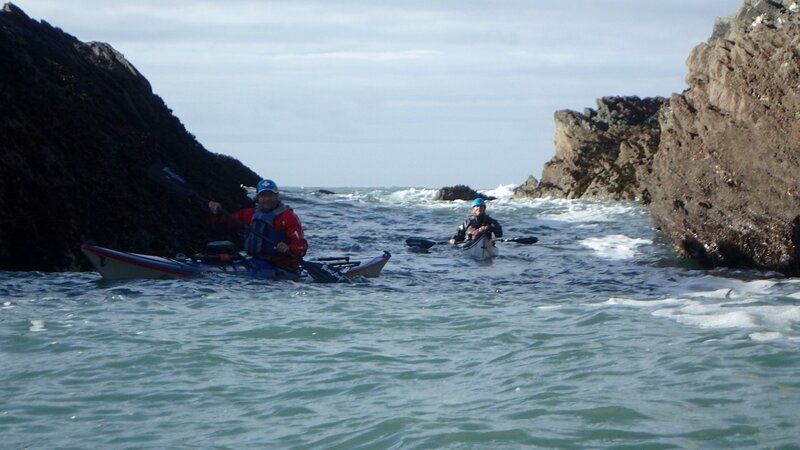 There was lots of wave surfing, rock hopping and banter. 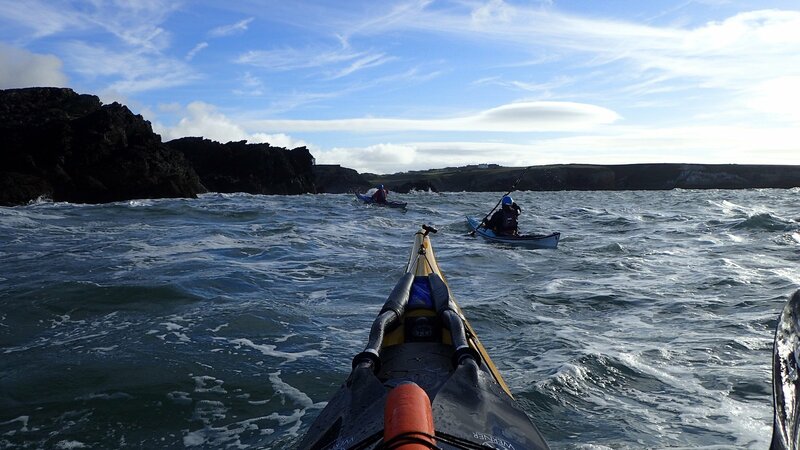 It was a fantastic day with stunning views, despite not seeing much in the way of wild life. 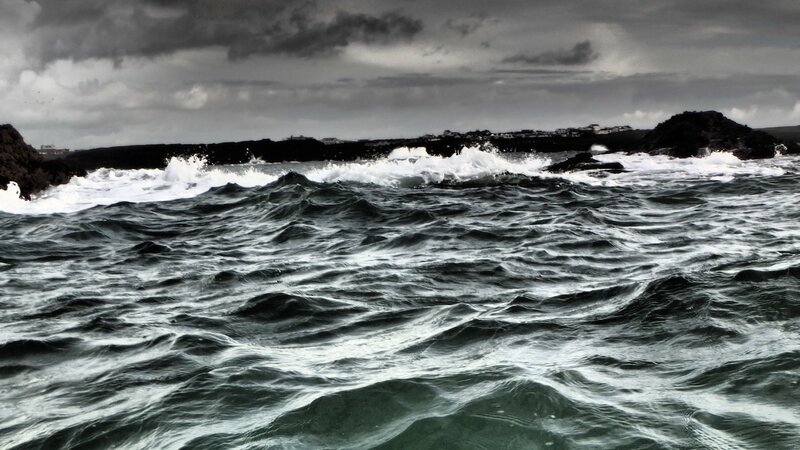 I took a few <ahem> pictures. 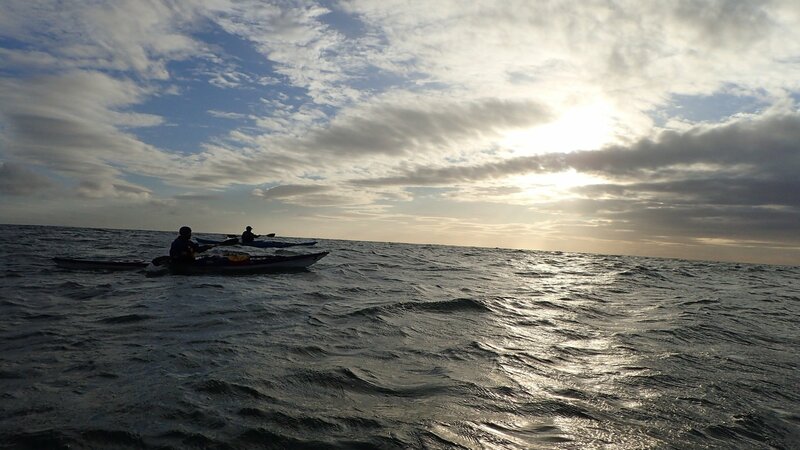 This is what is left of the 180+ I took on the day!! 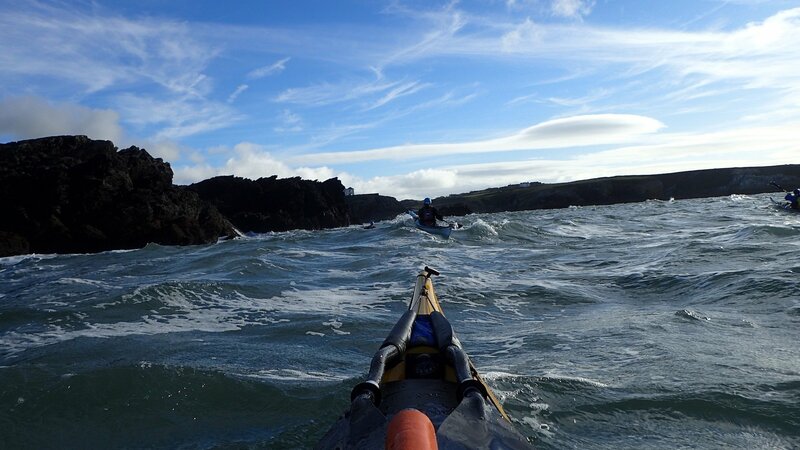 Besides it is not easy taking pictures in these sort of conditions! 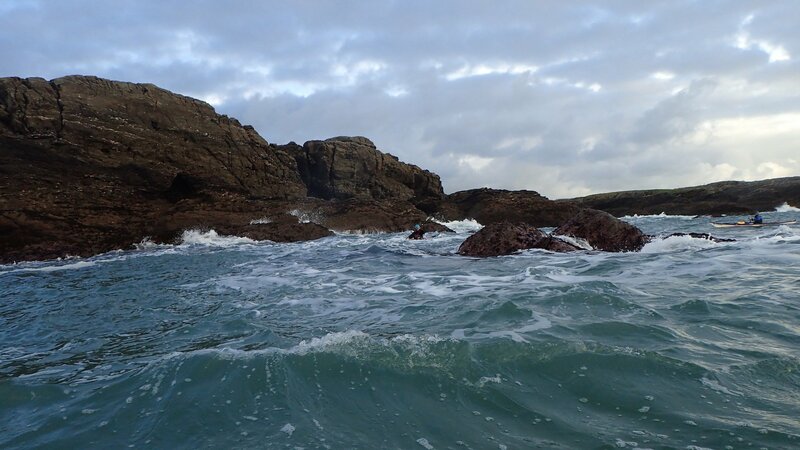 Click on the images below to view the larger versions.